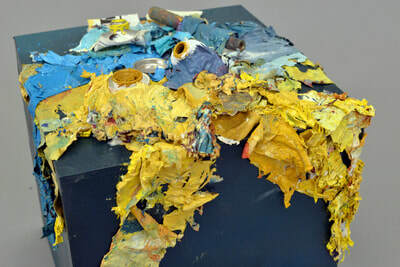 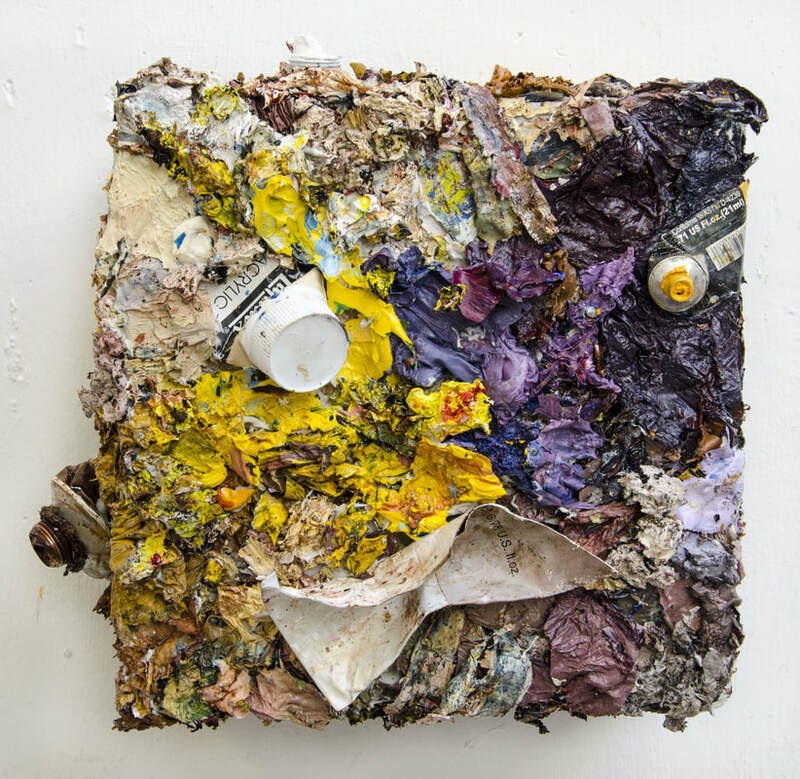 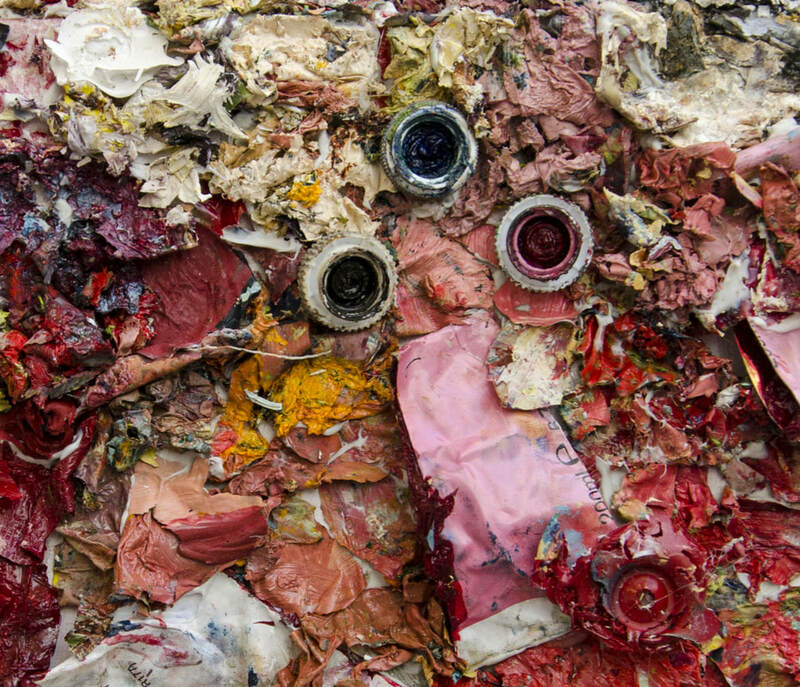 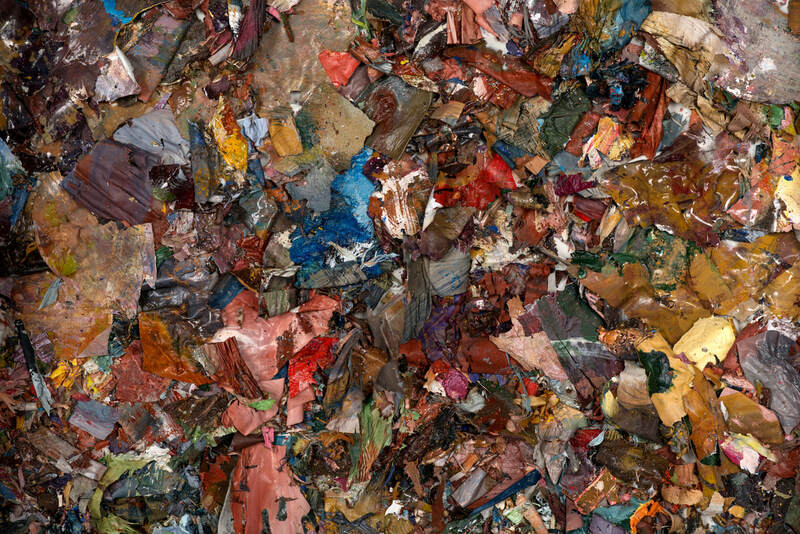 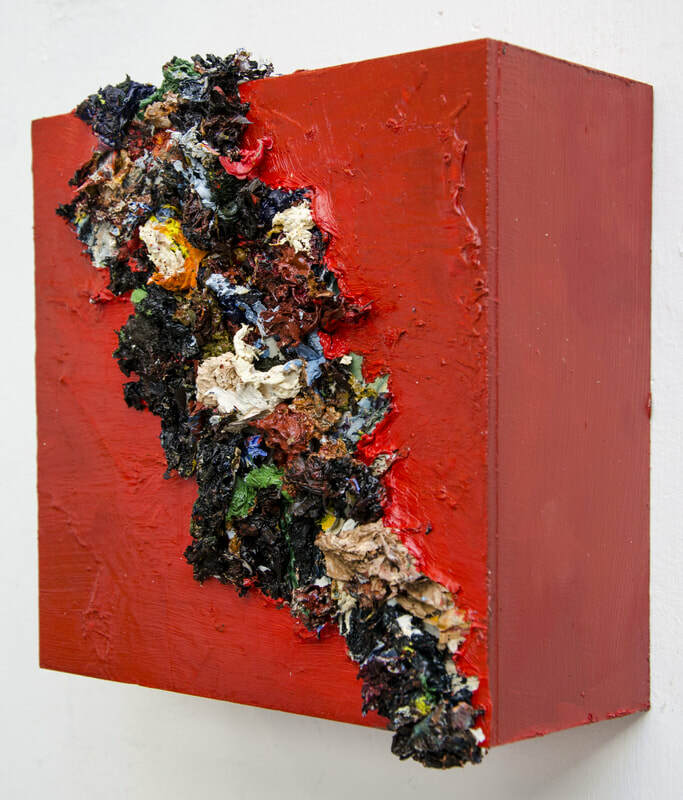 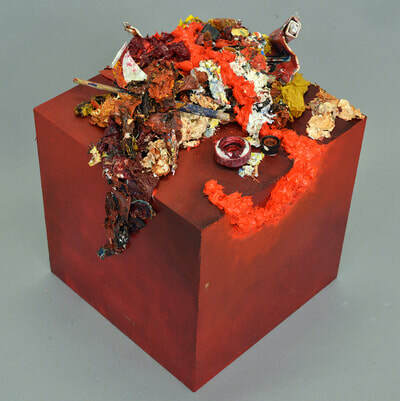 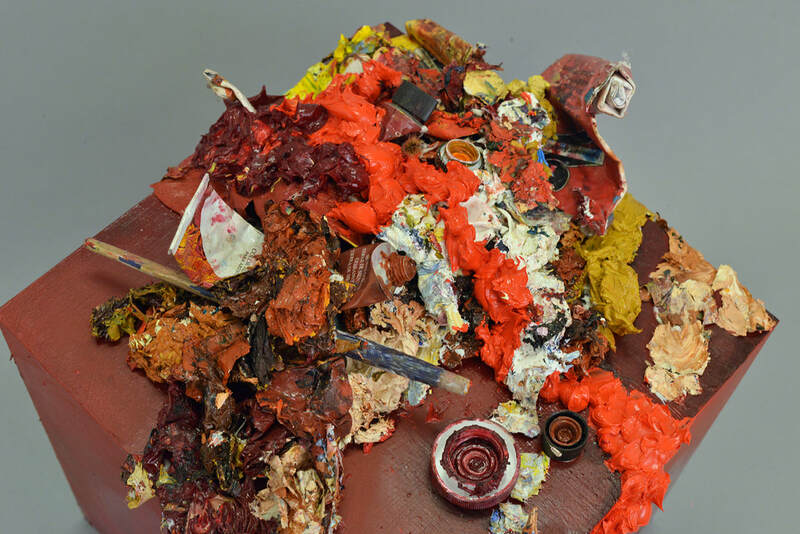 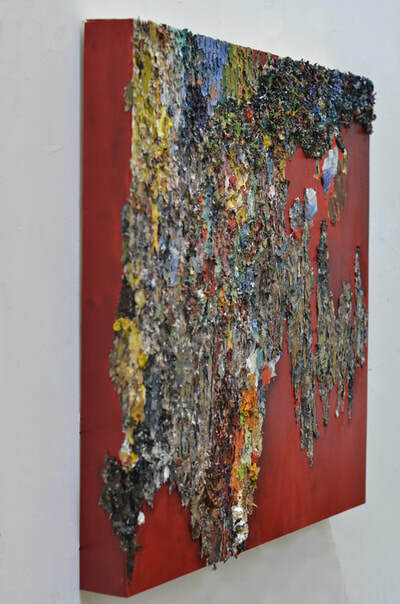 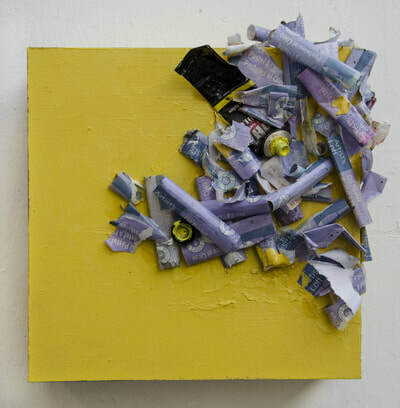 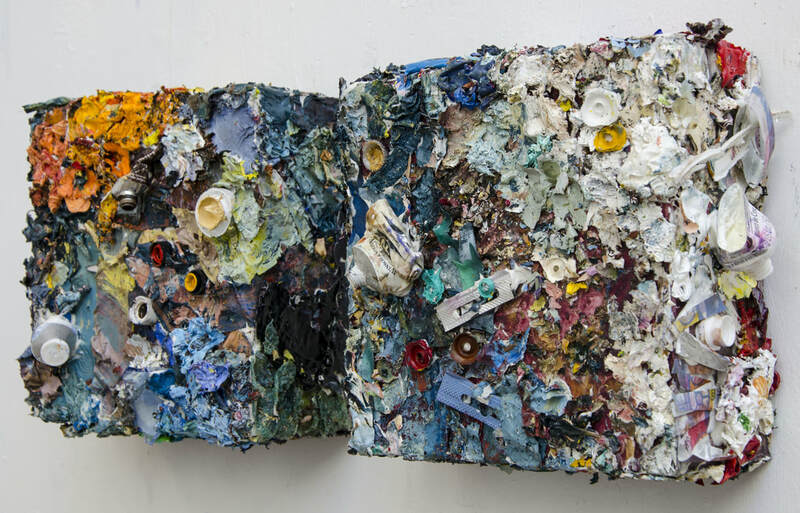 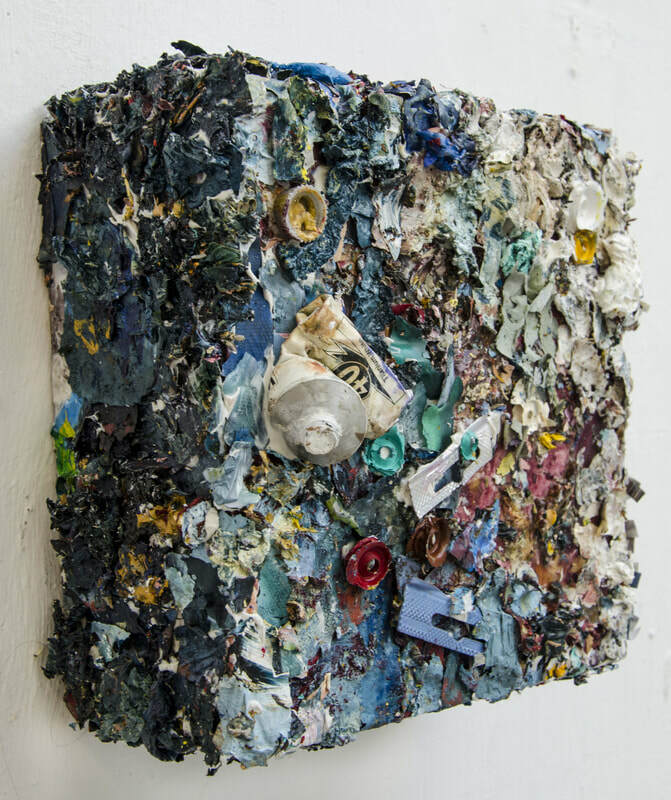 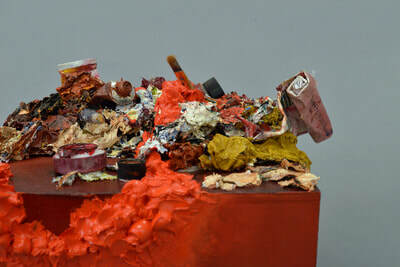 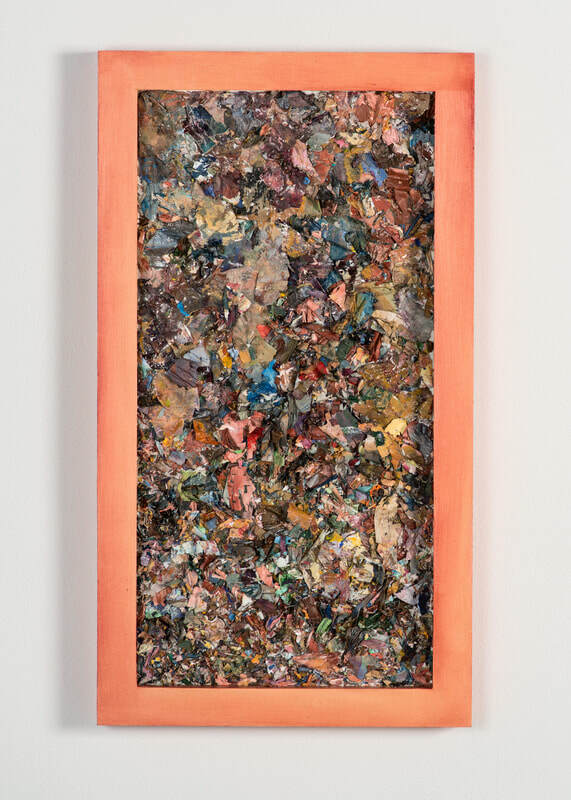 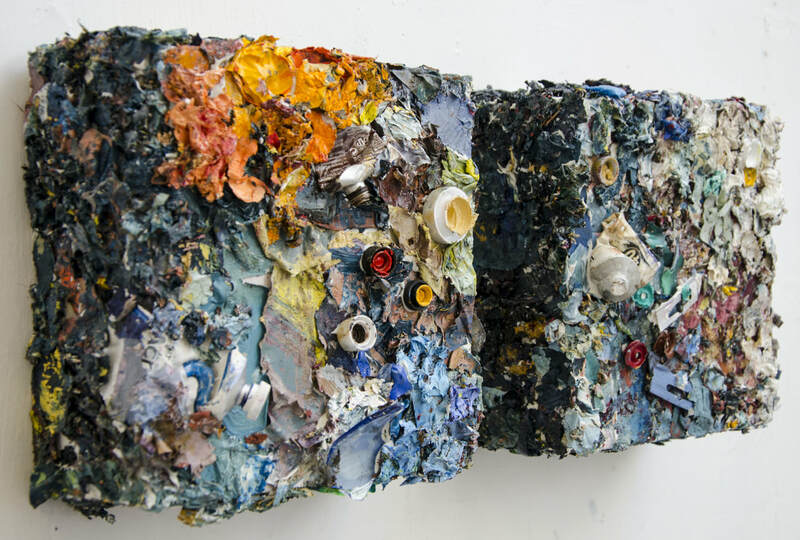 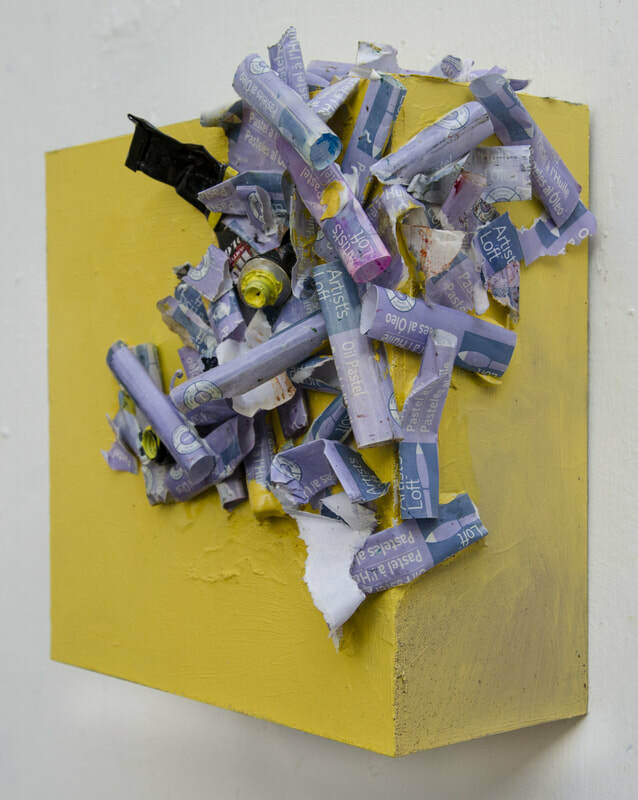 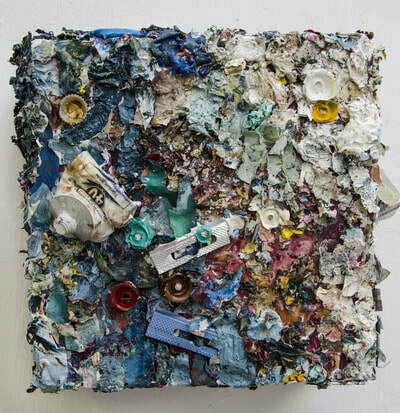 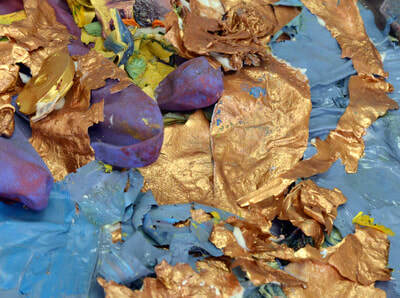 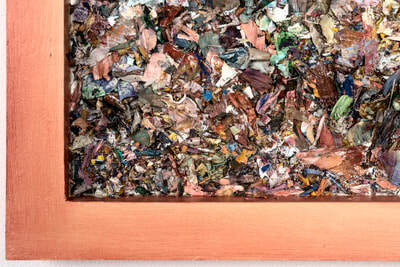 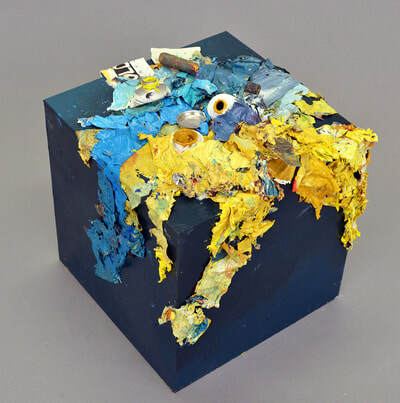 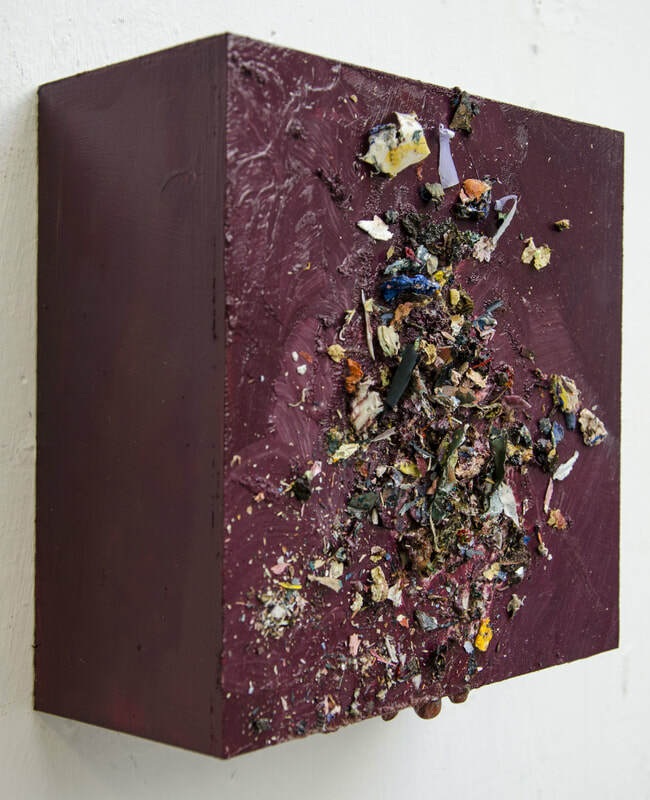 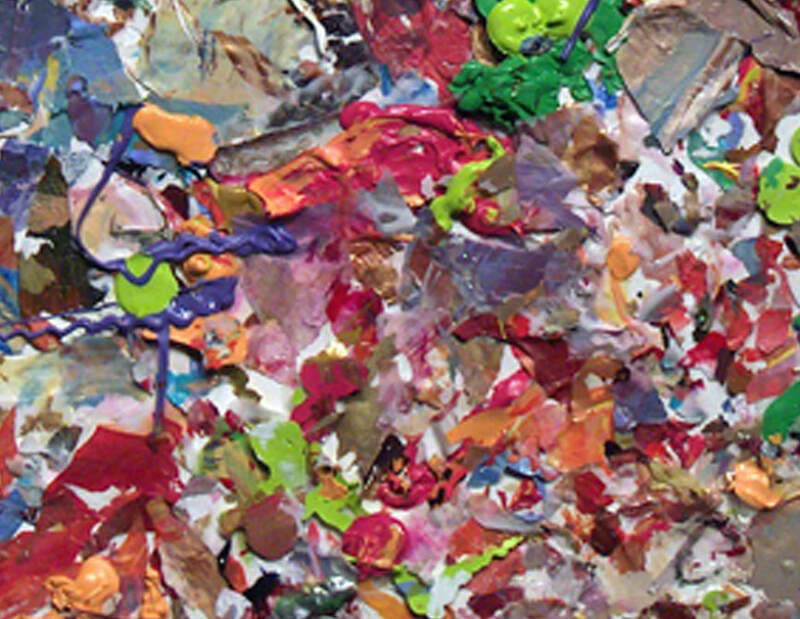 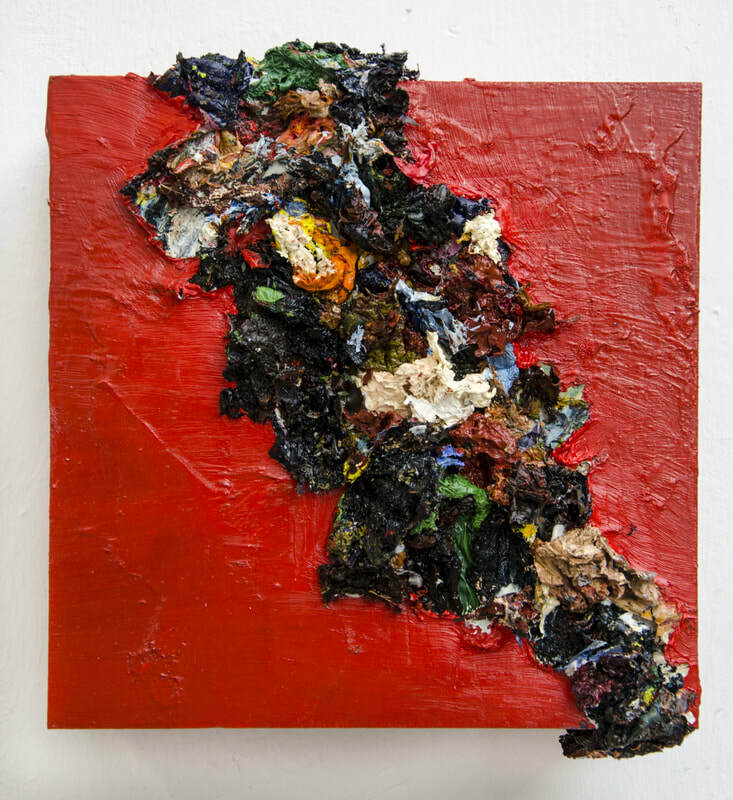 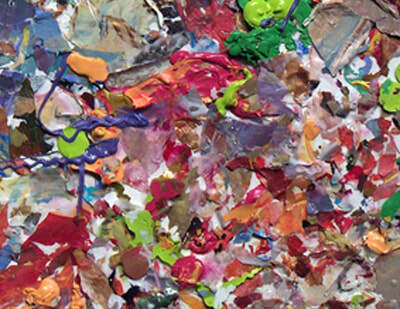 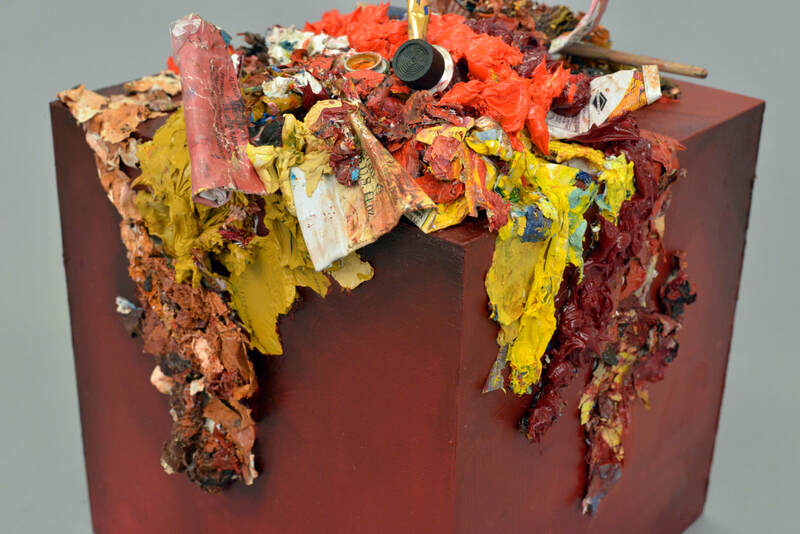 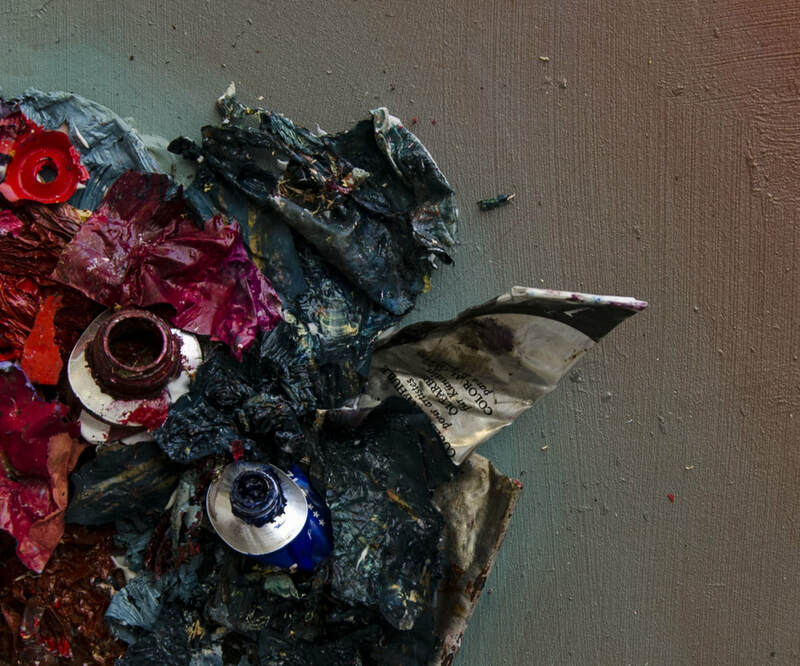 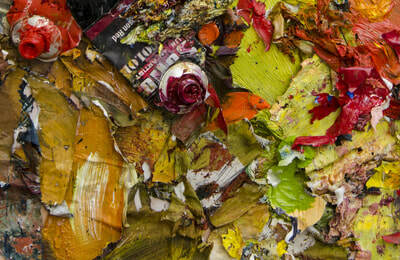 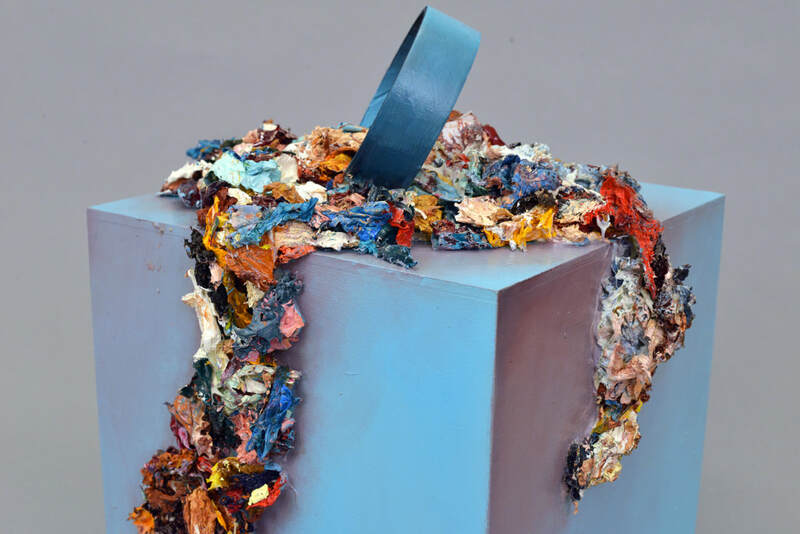 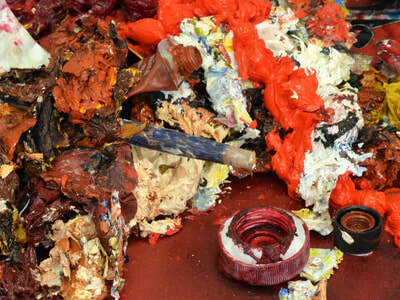 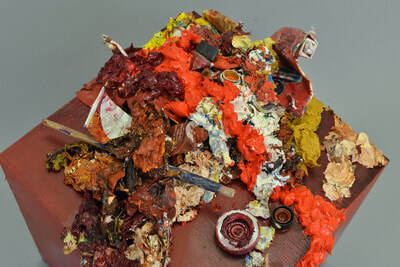 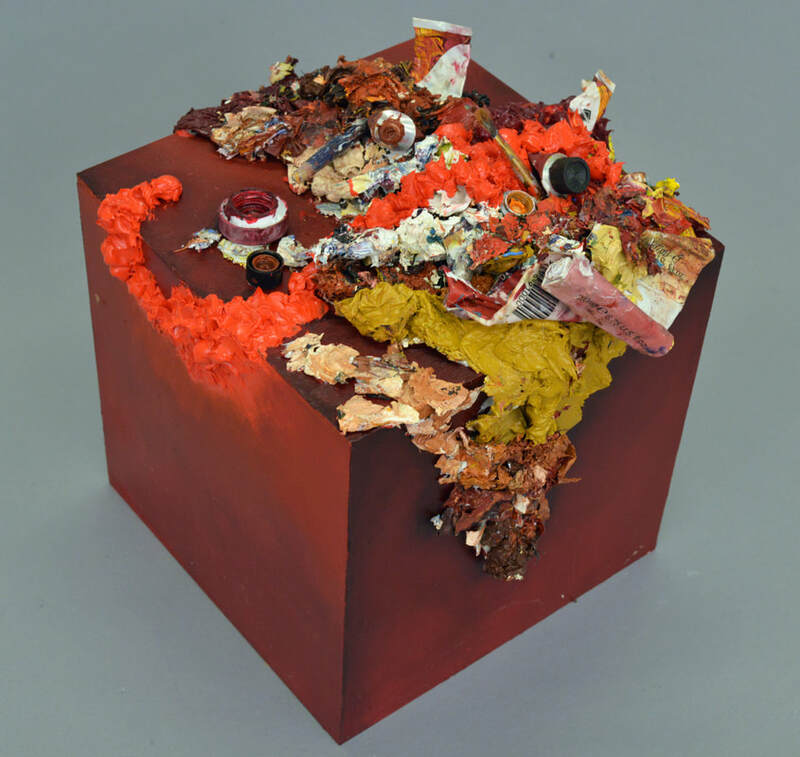 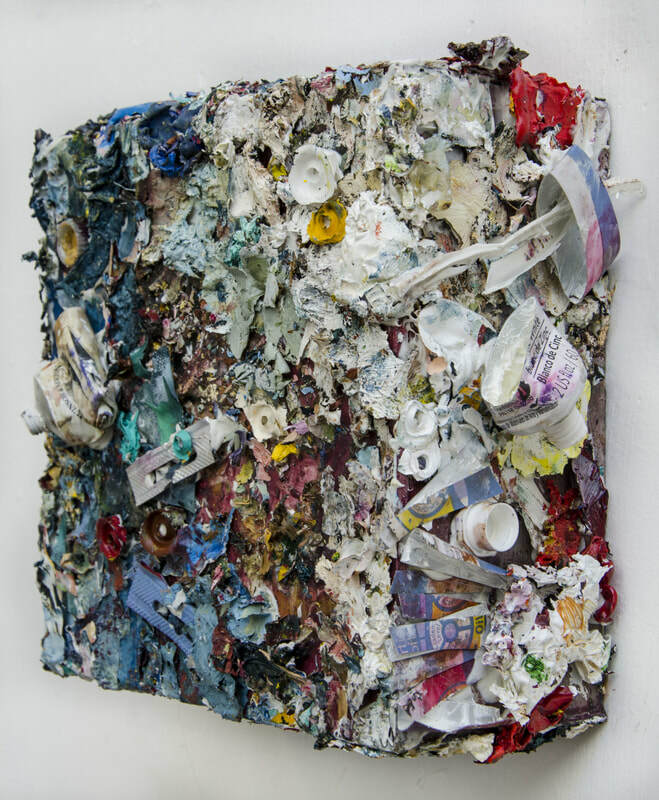 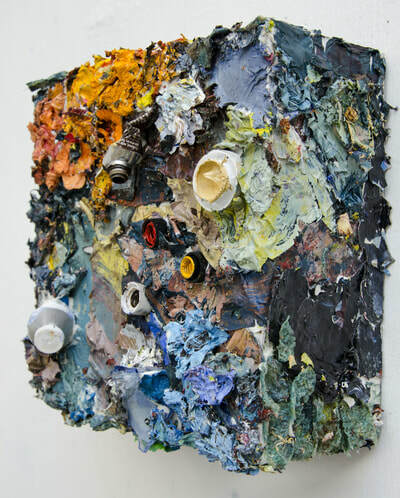 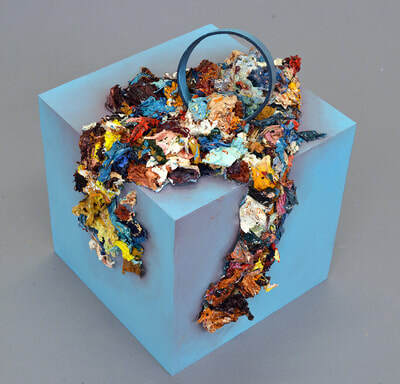 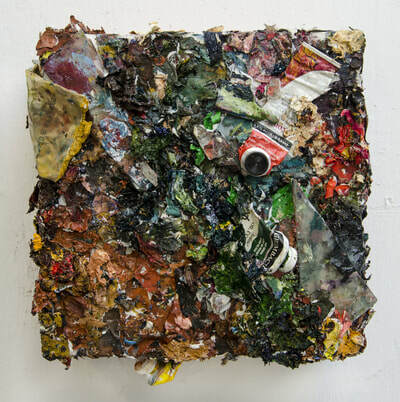 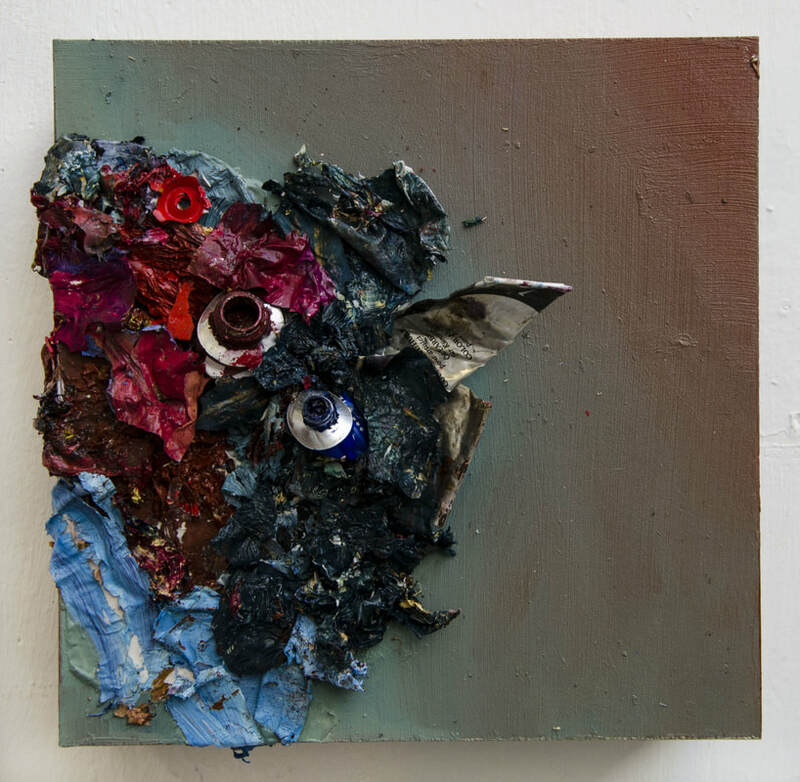 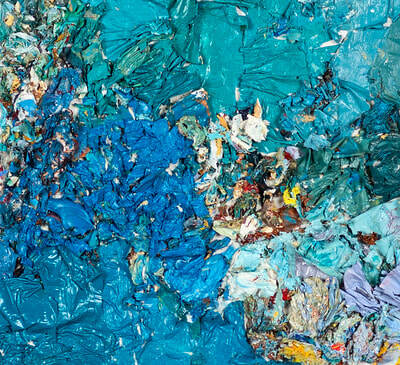 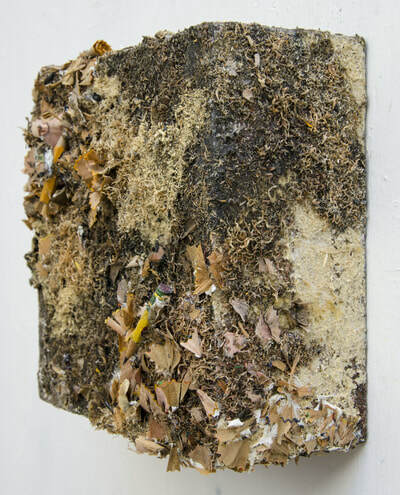 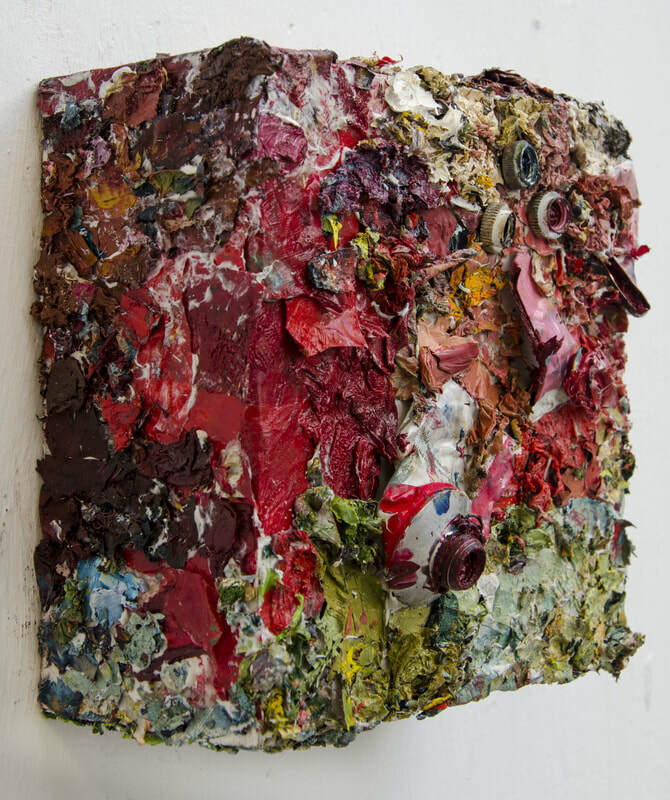 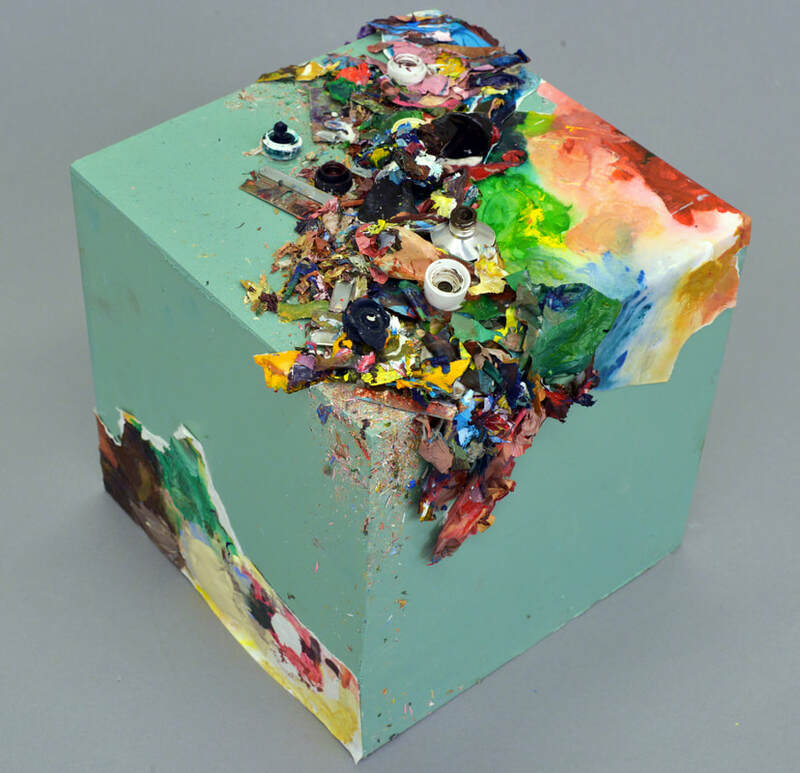 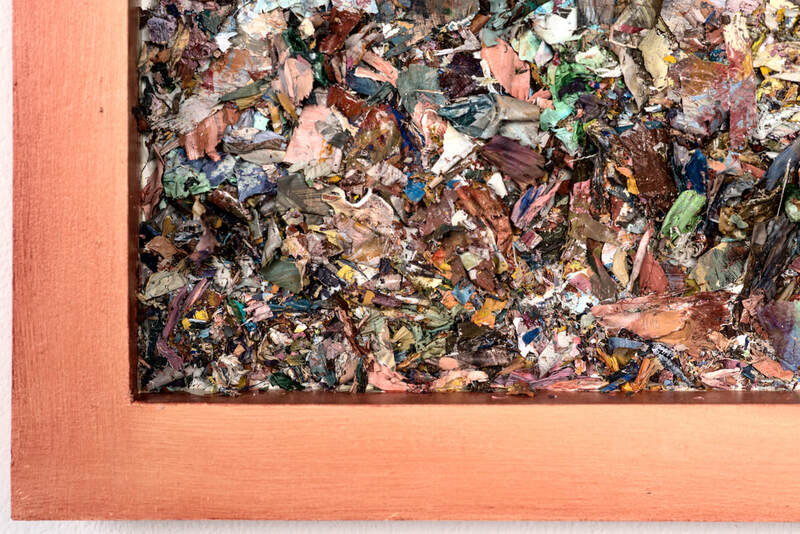 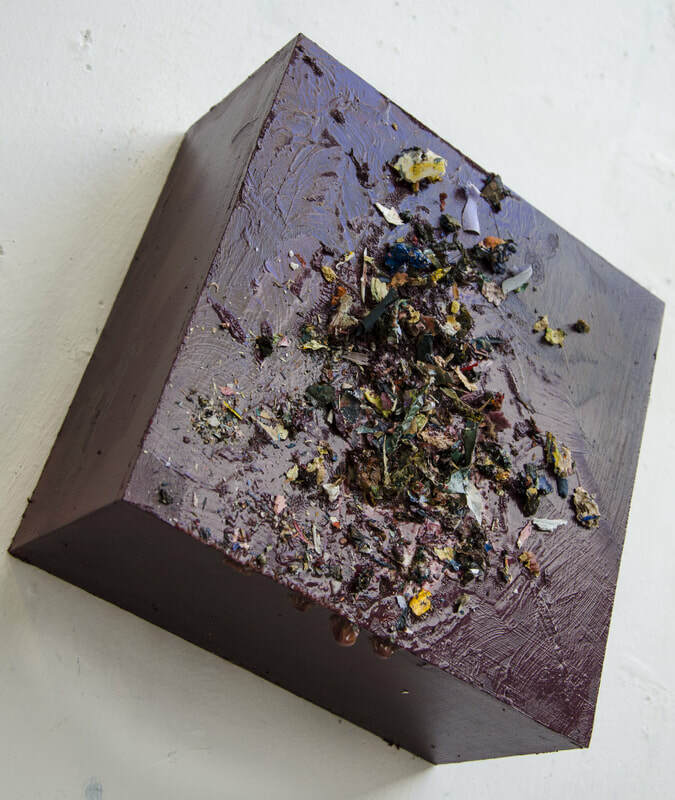 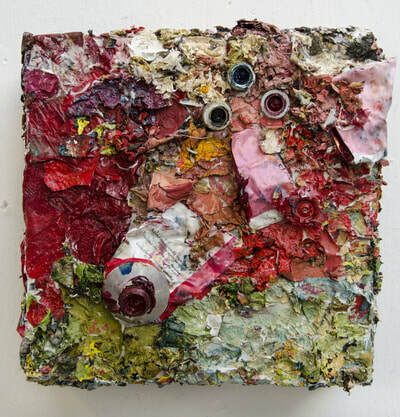 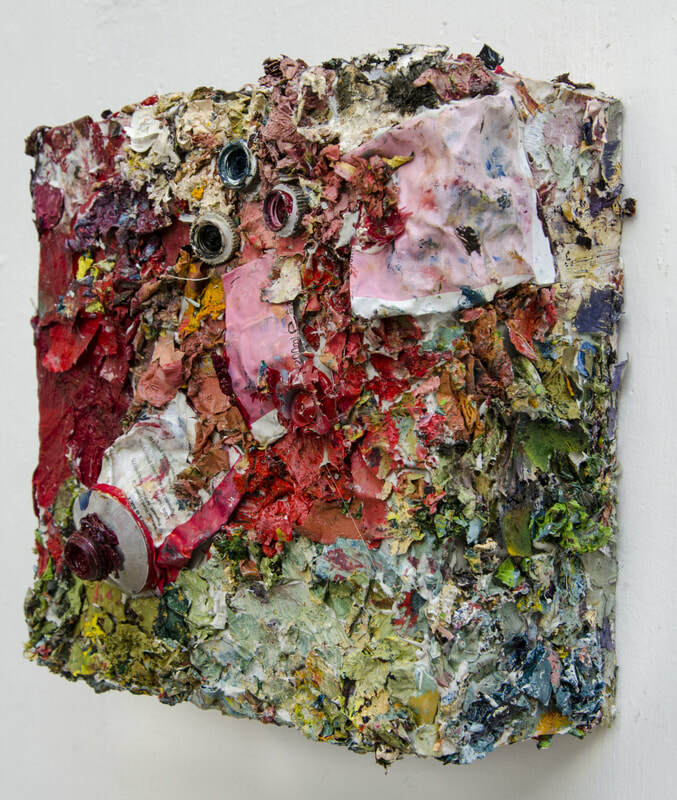 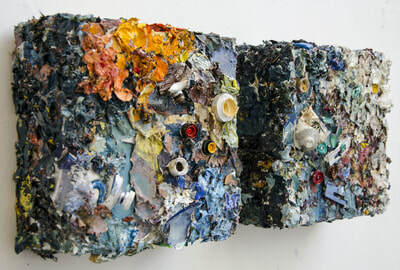 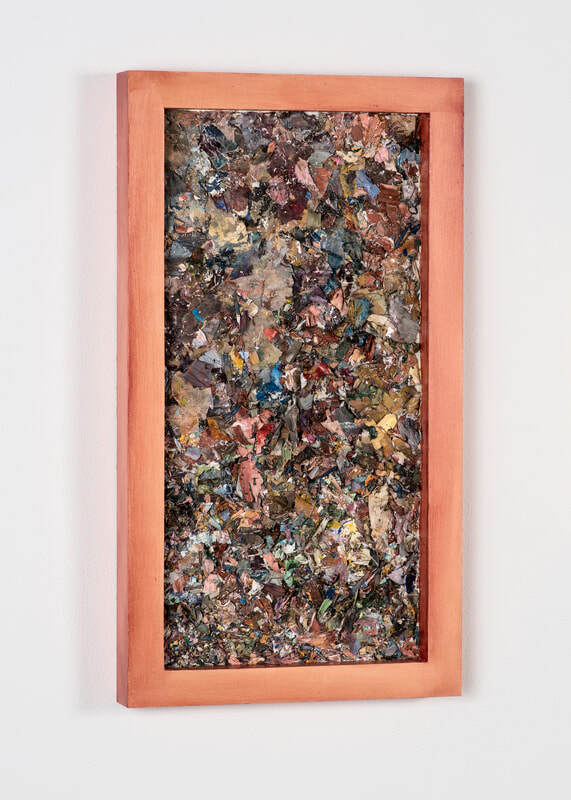 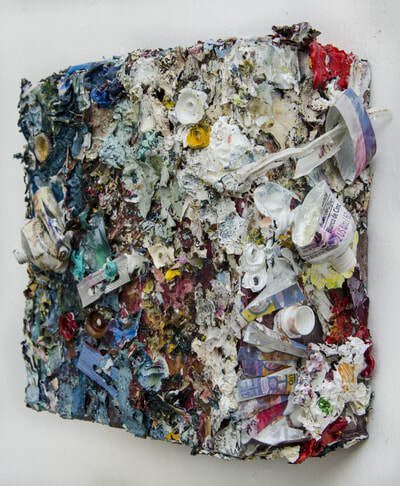 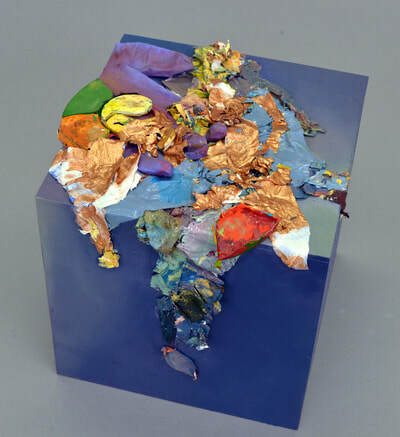 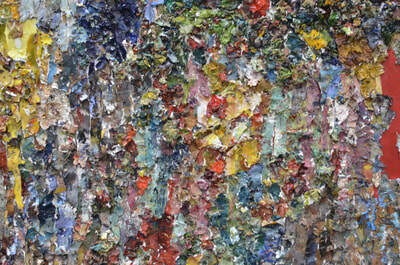 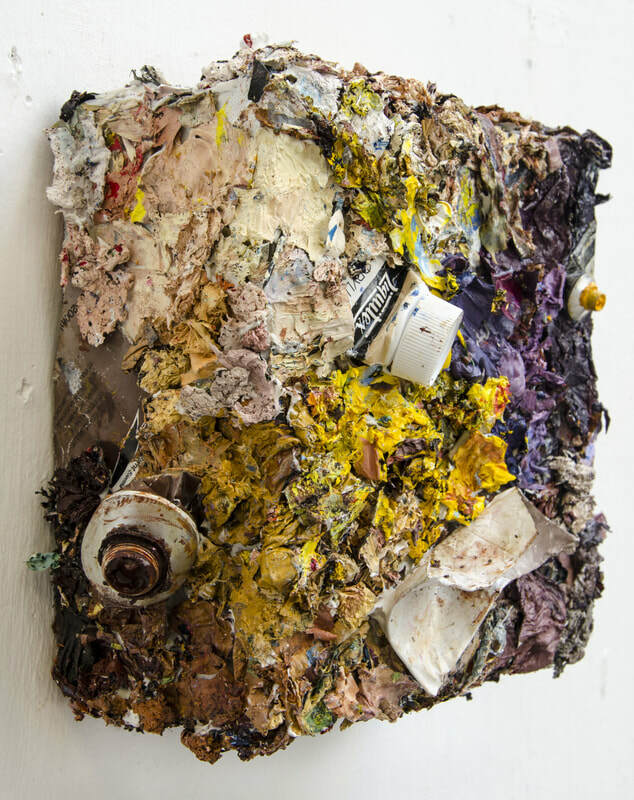 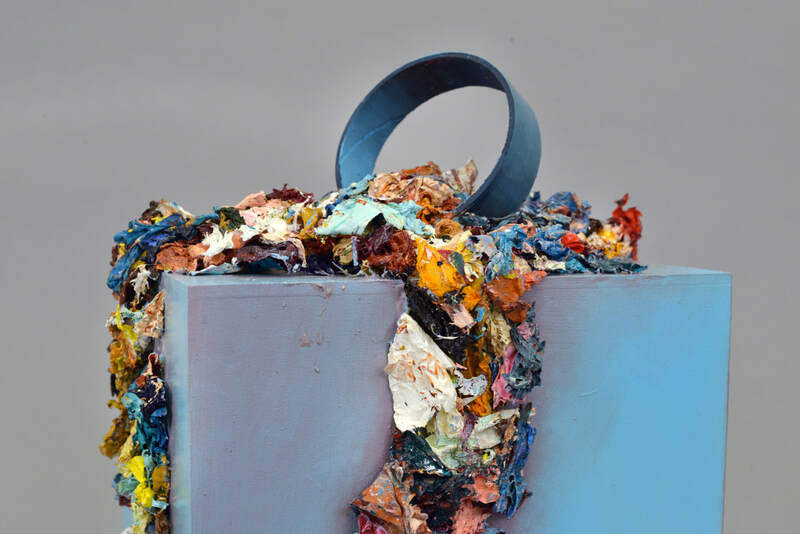 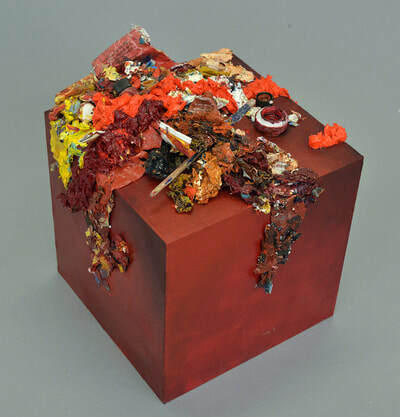 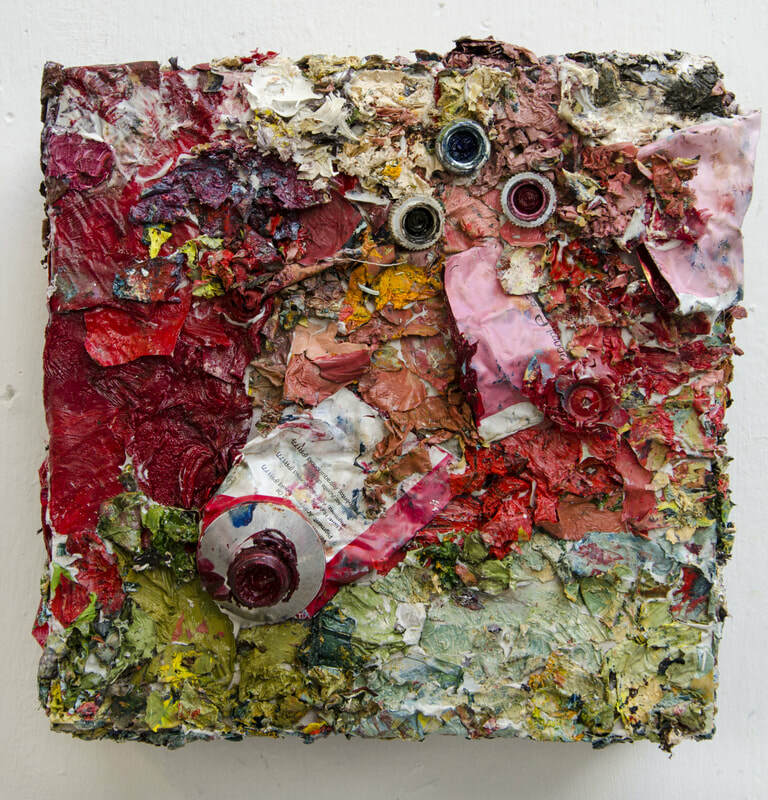 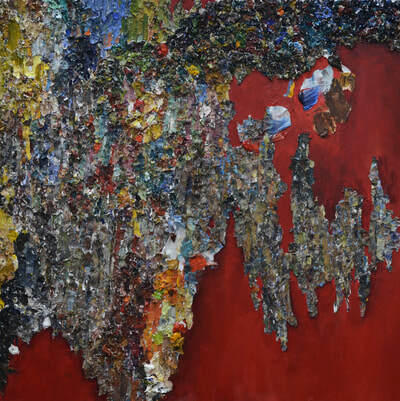 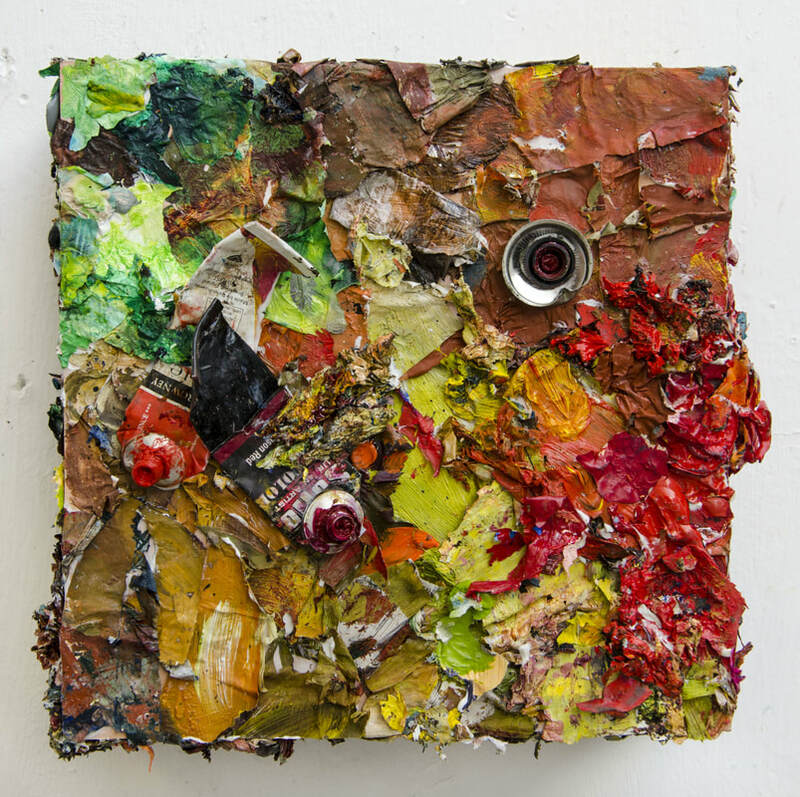 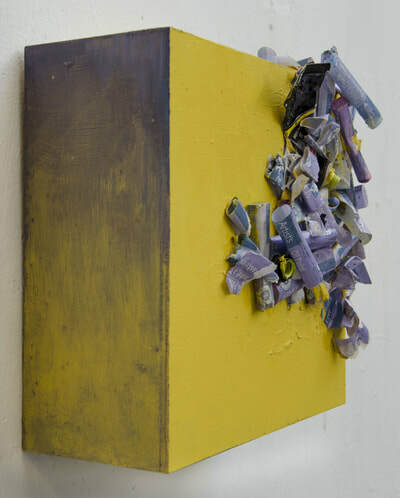 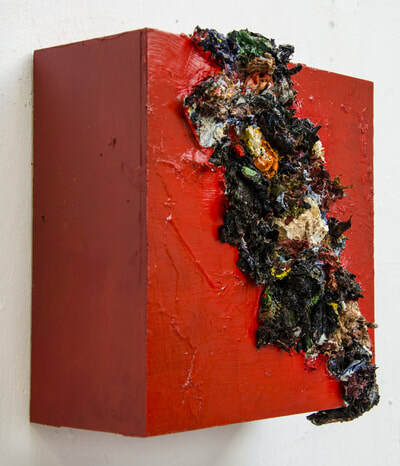 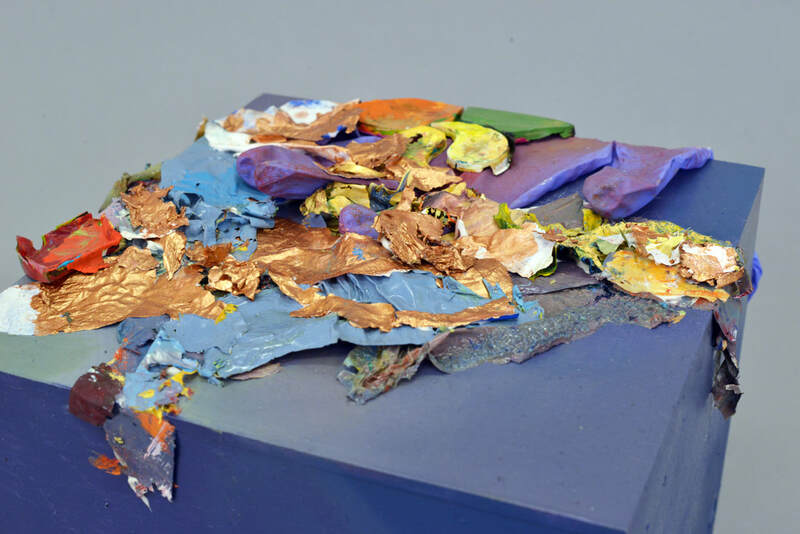 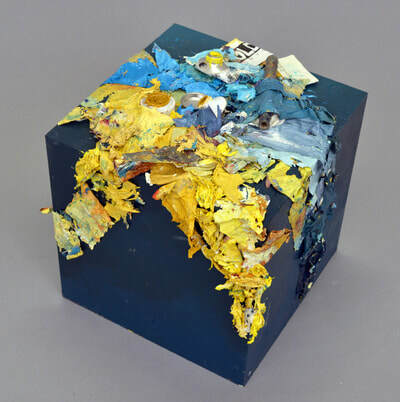 As part of her practice, Olshan collects and repurposes leftover materials from the art-making process. 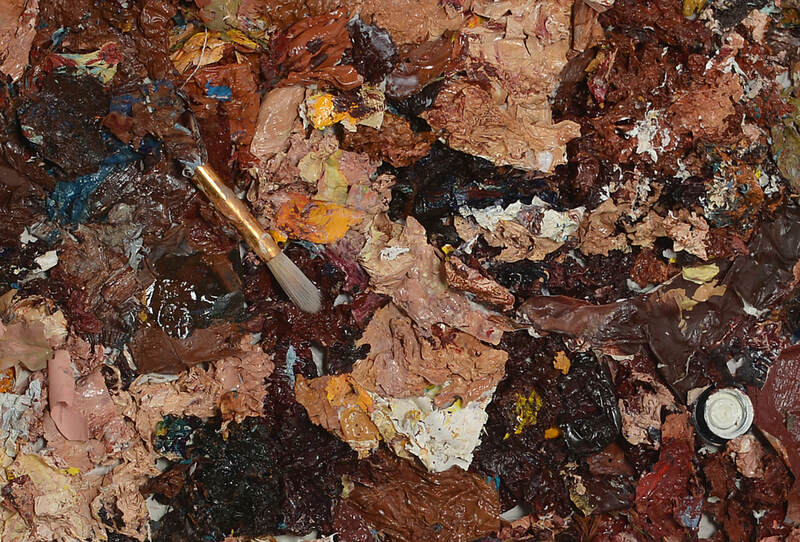 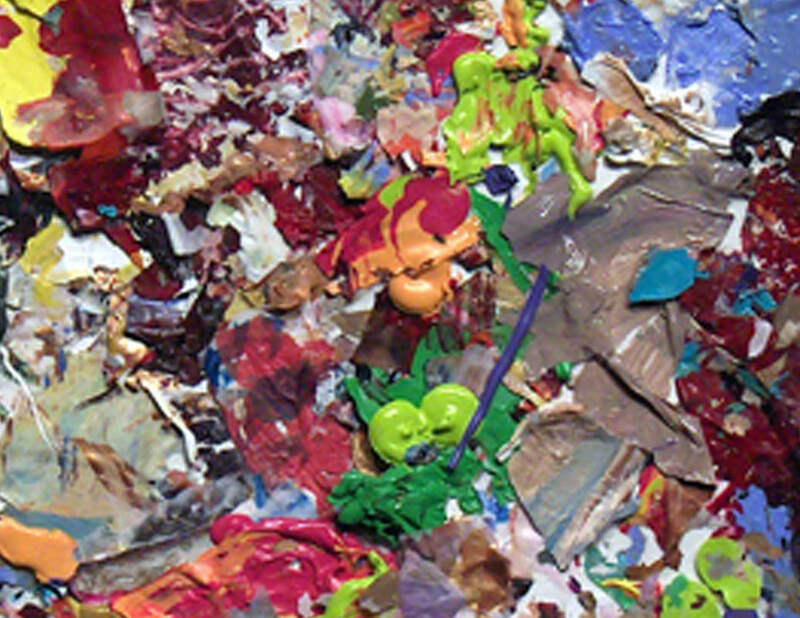 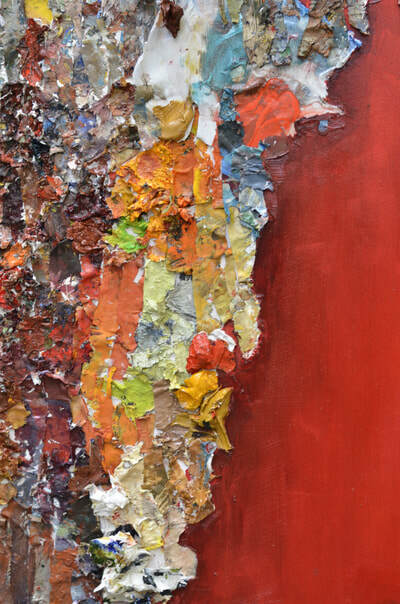 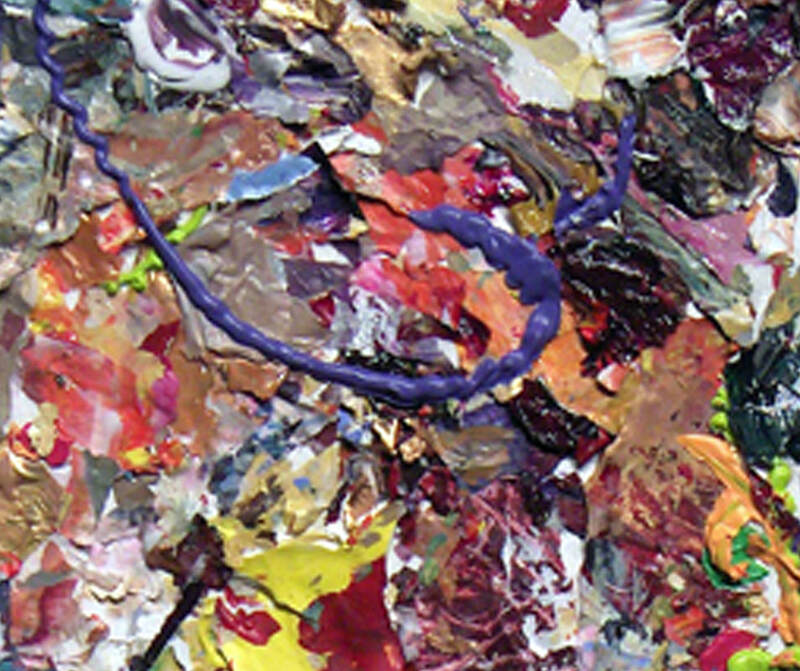 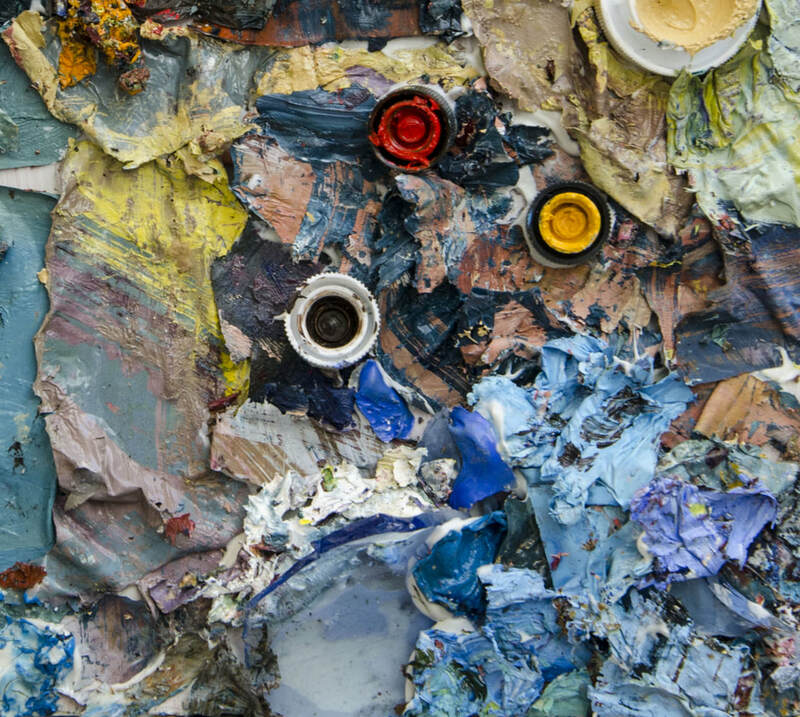 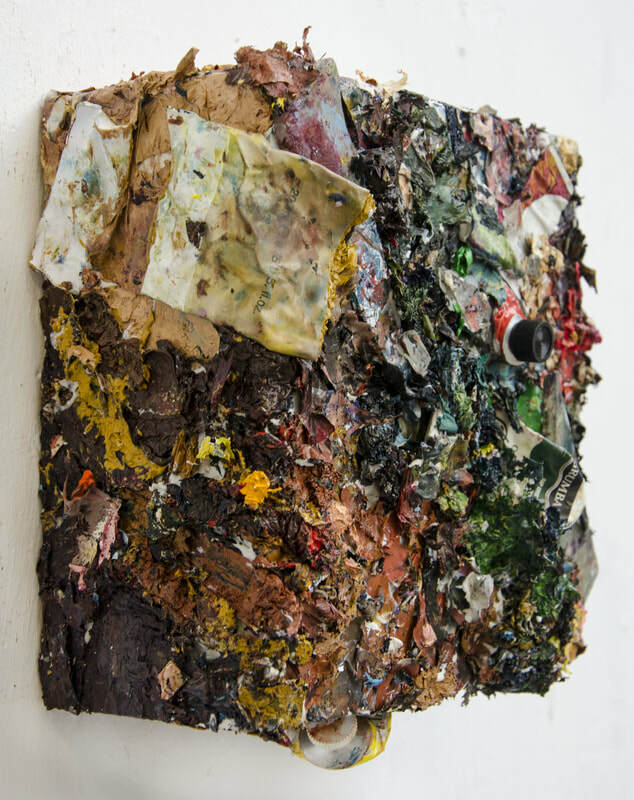 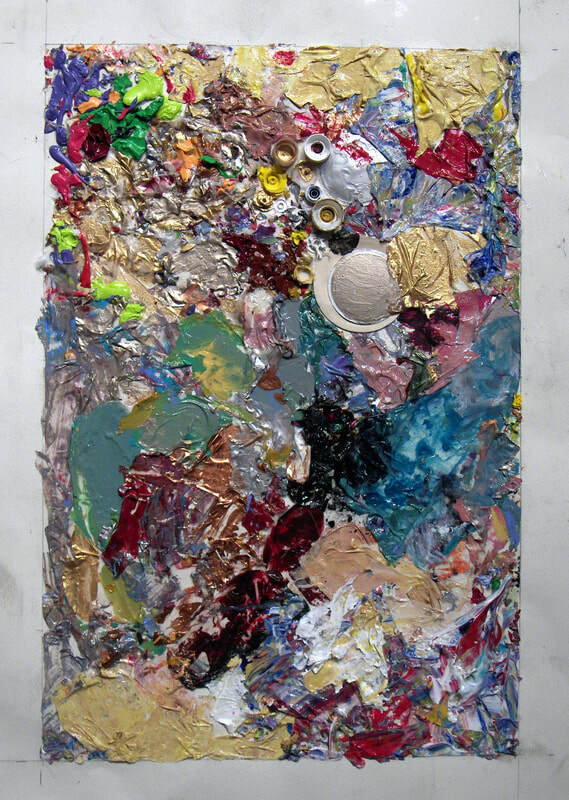 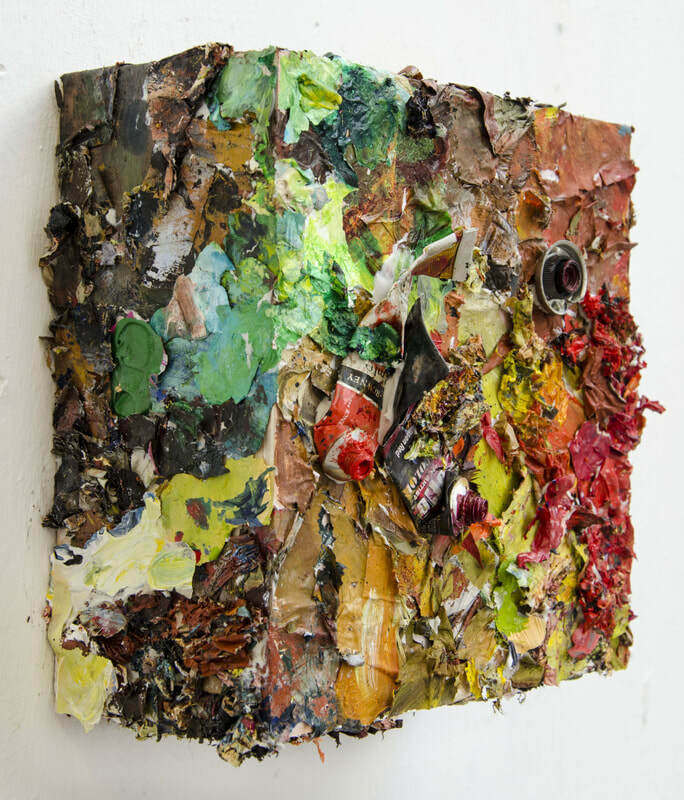 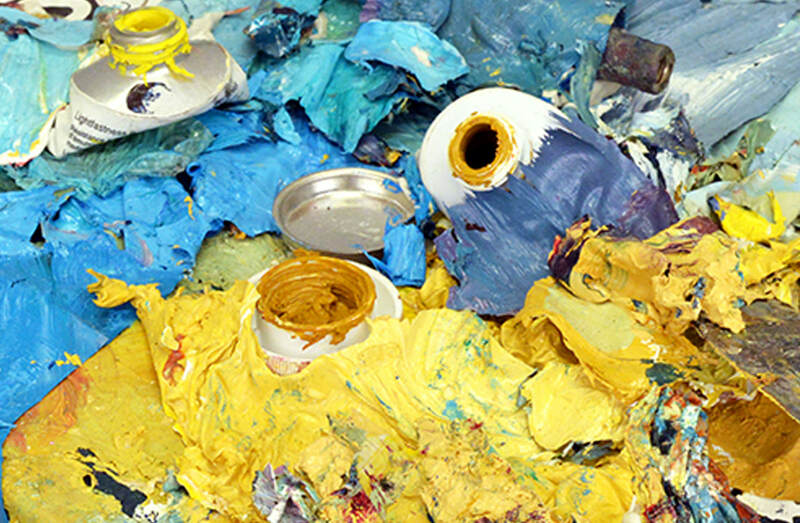 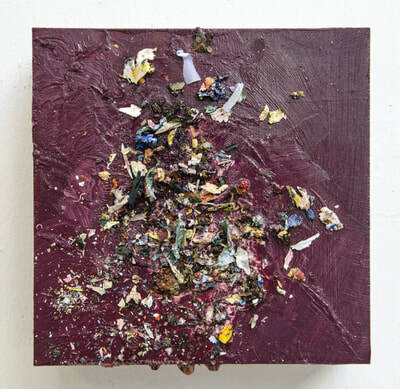 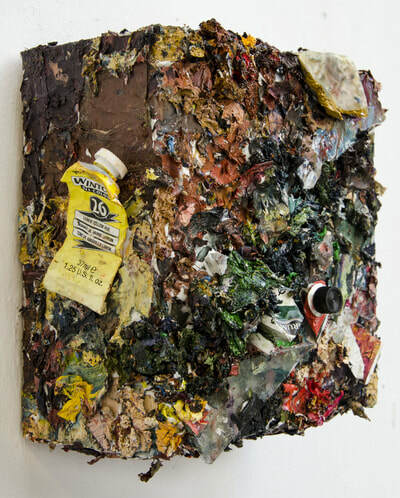 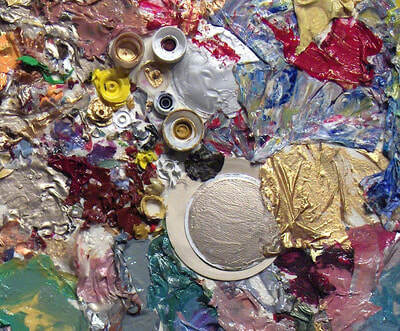 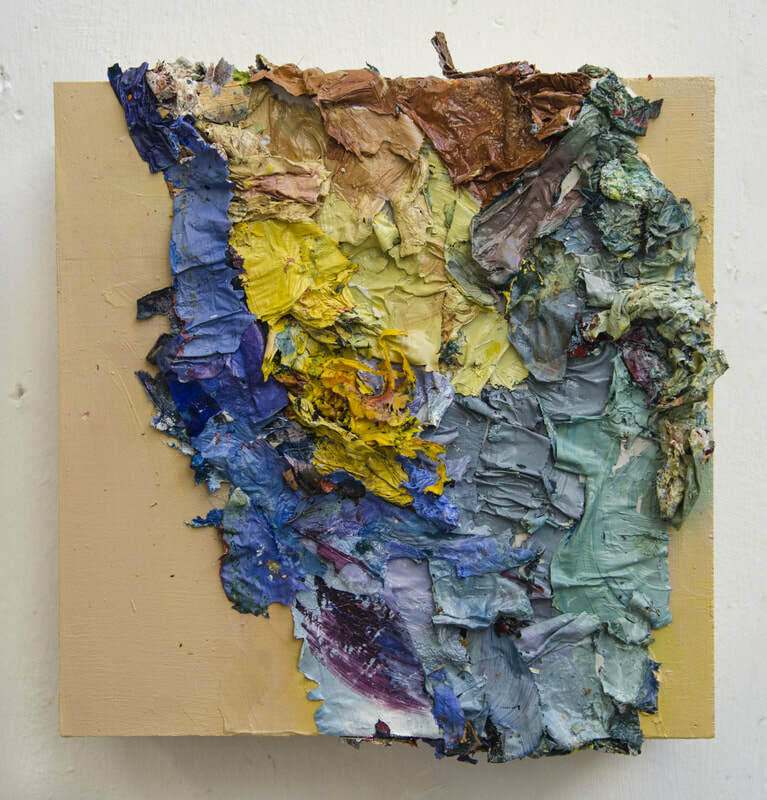 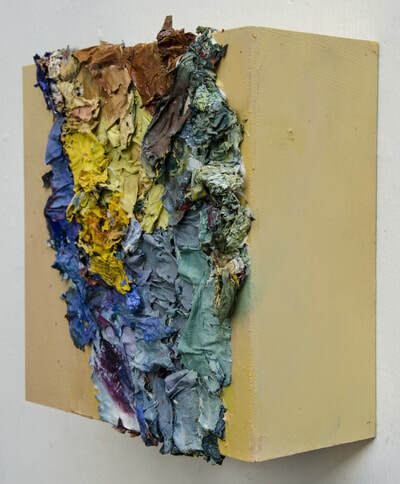 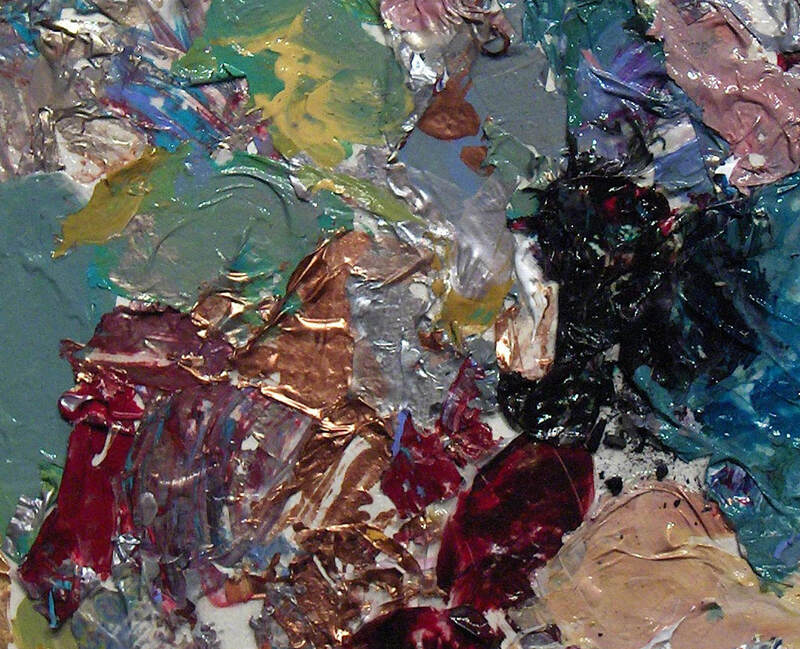 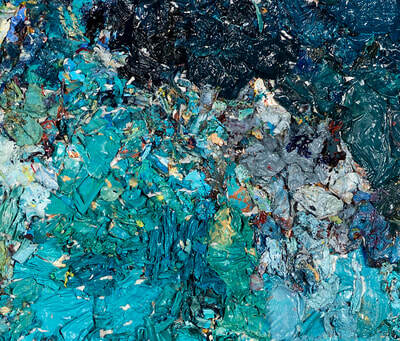 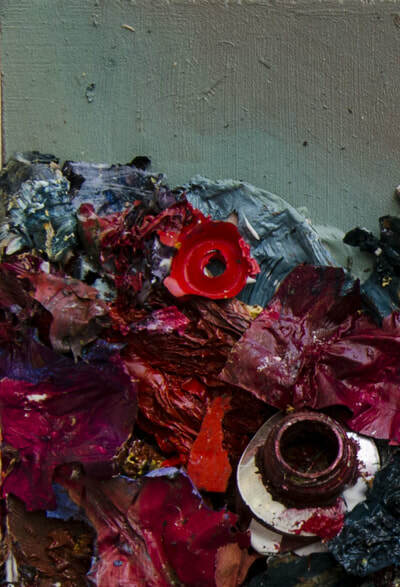 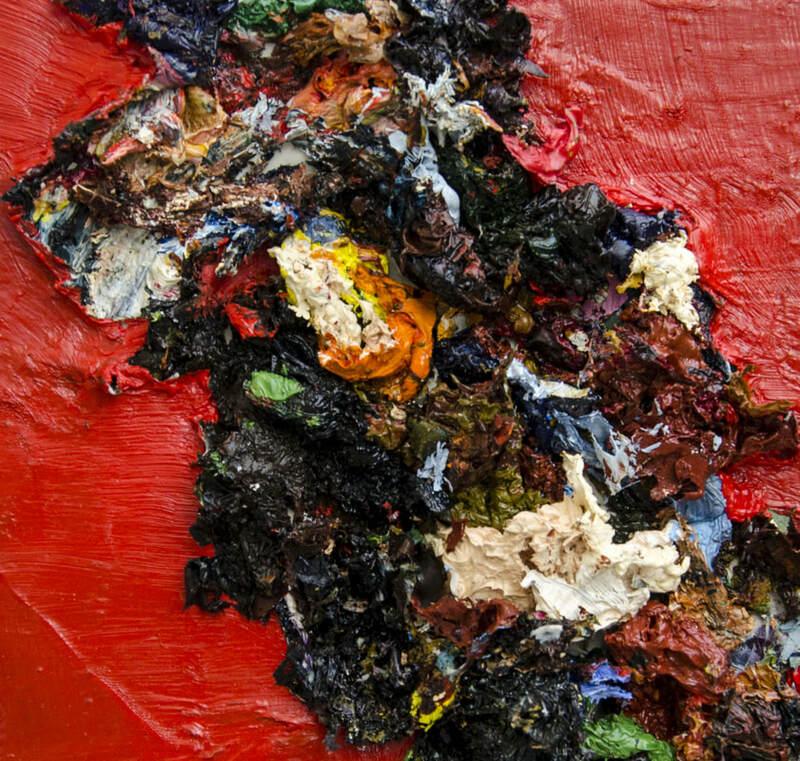 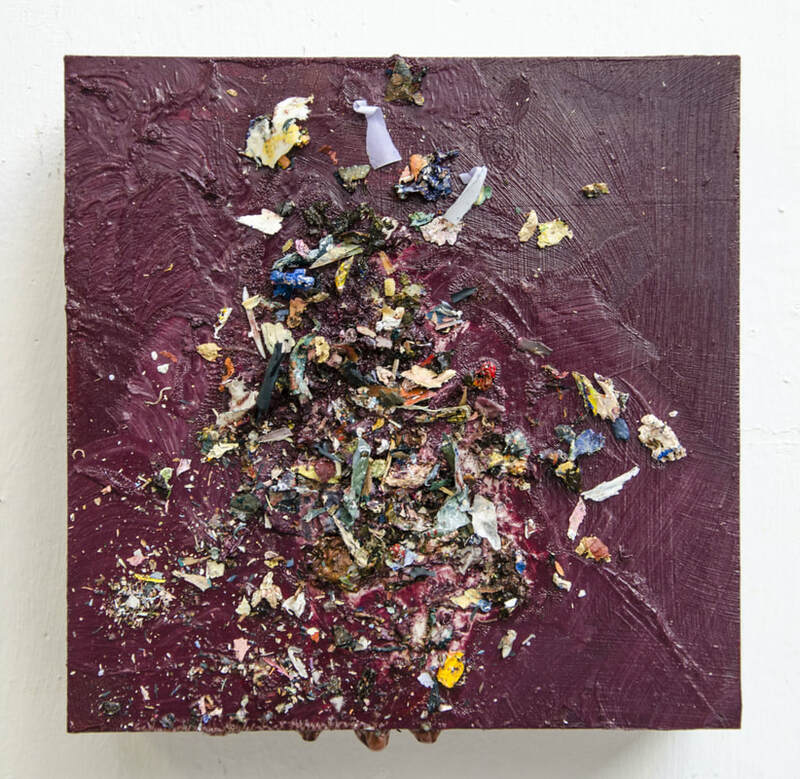 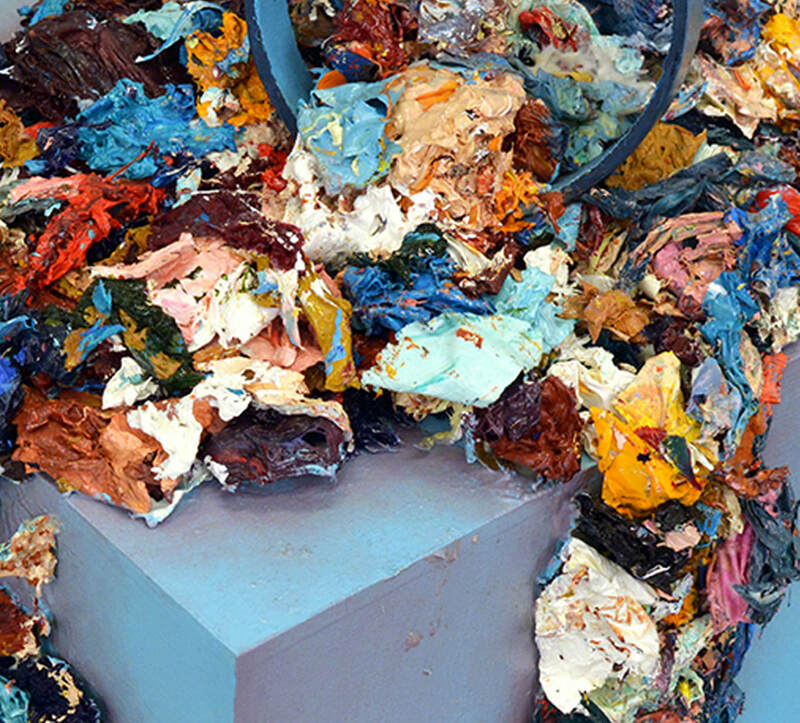 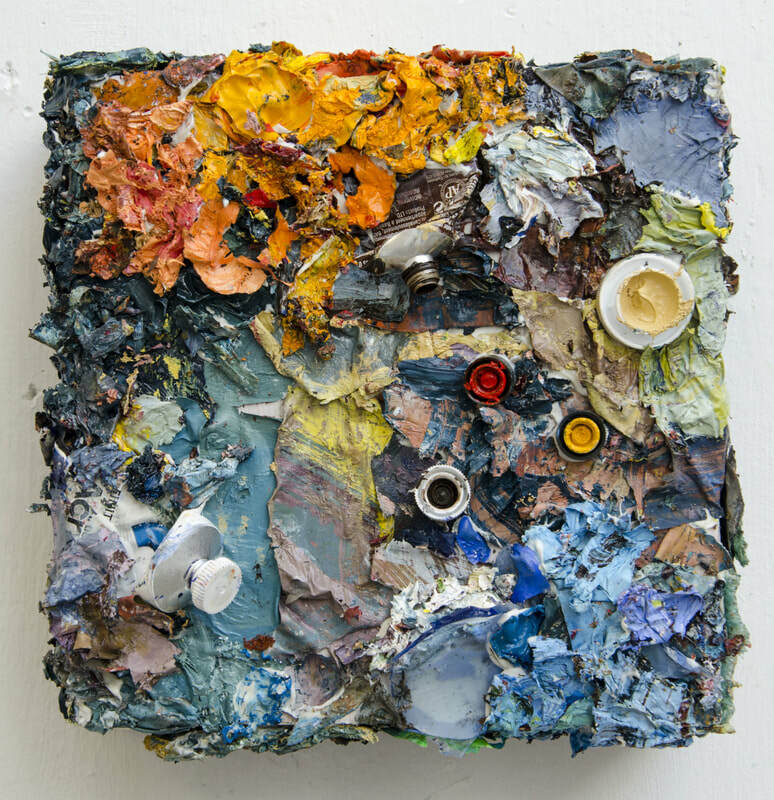 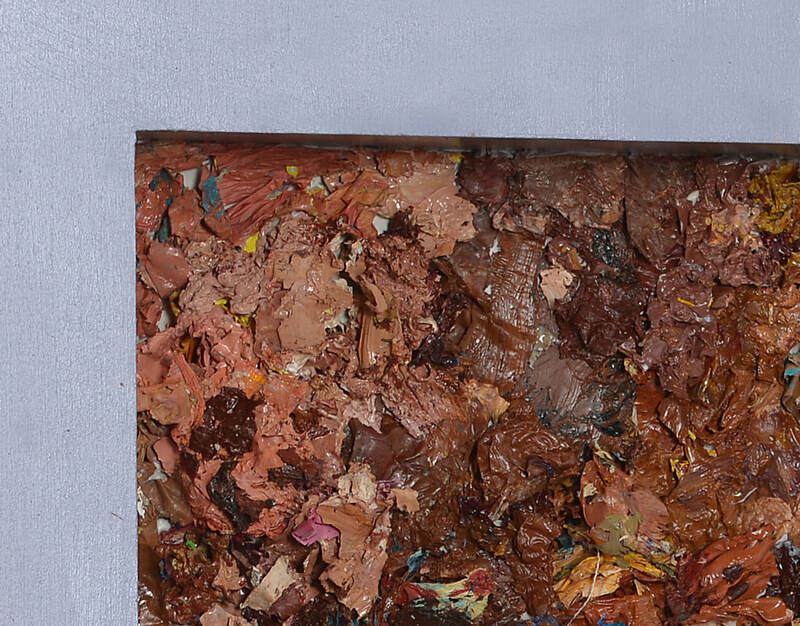 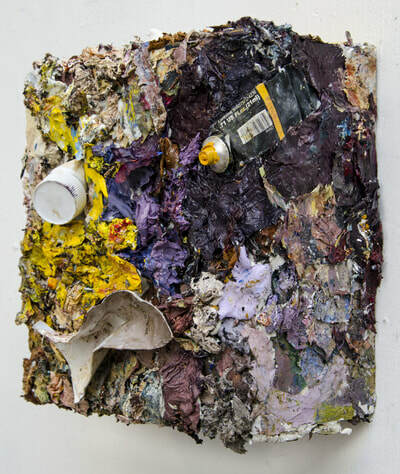 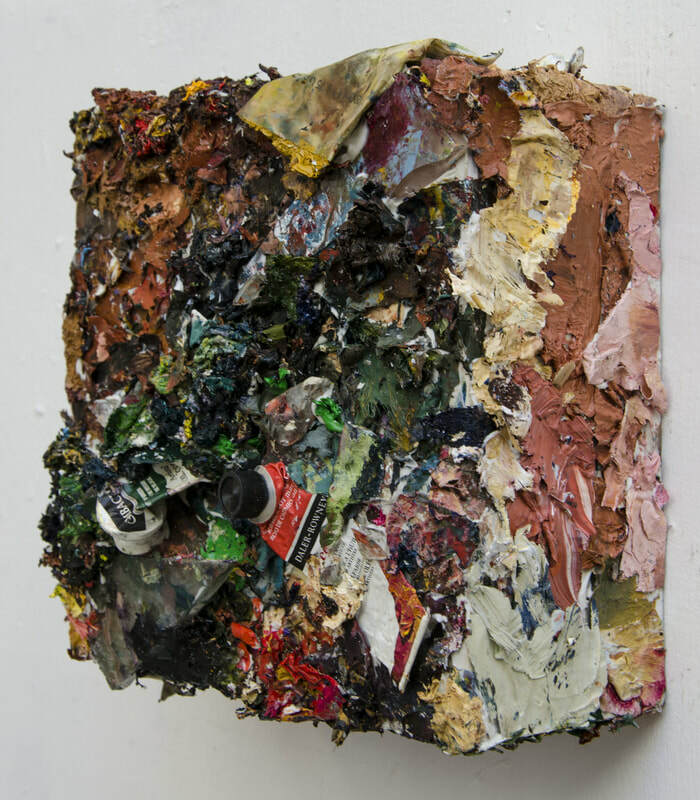 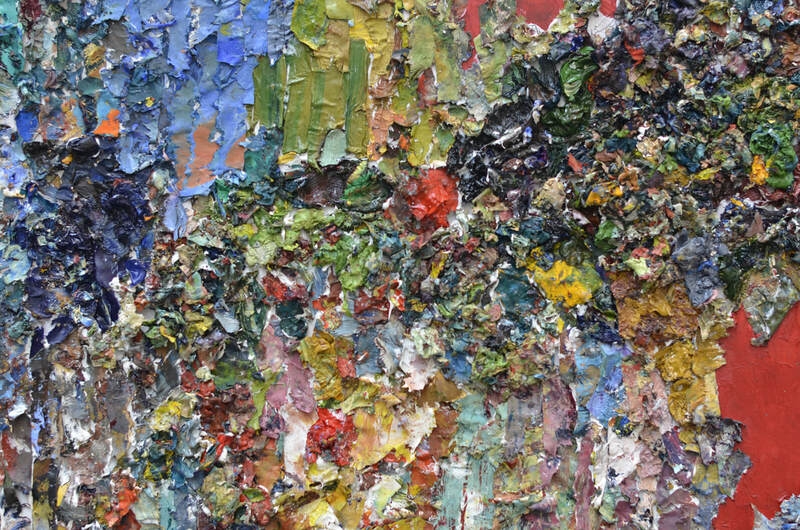 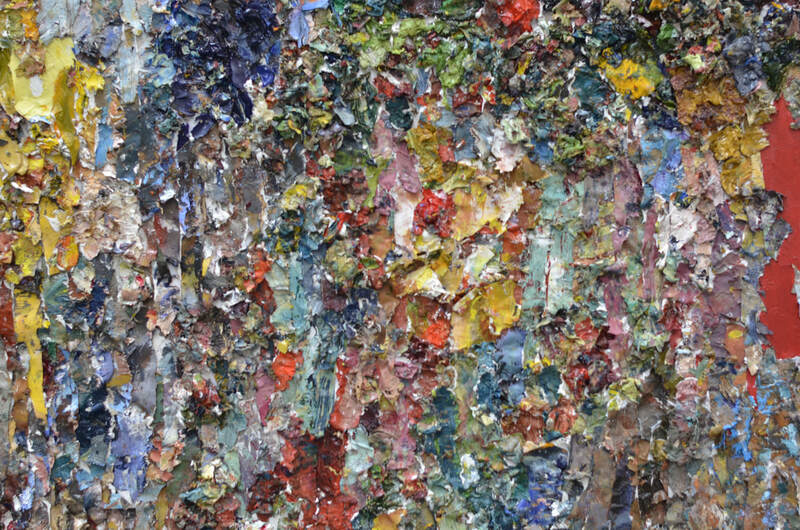 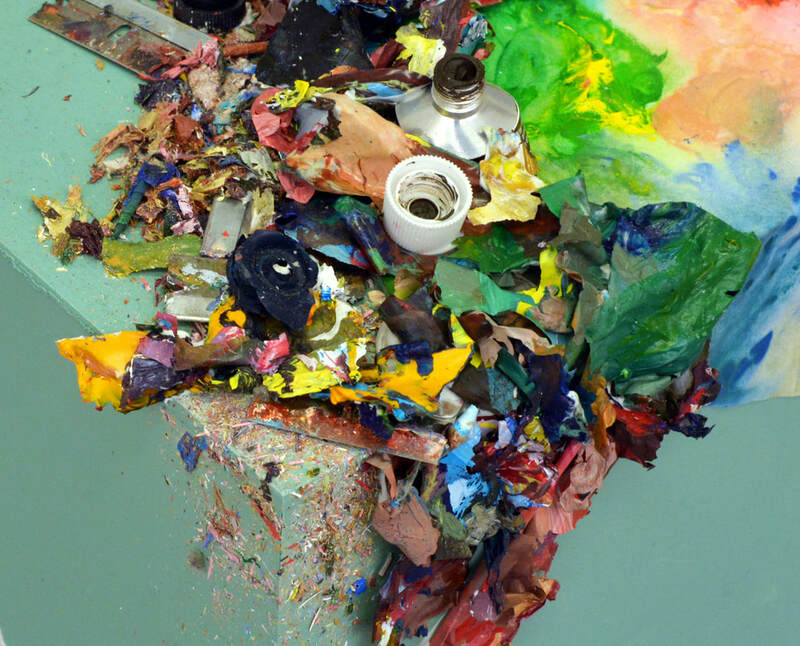 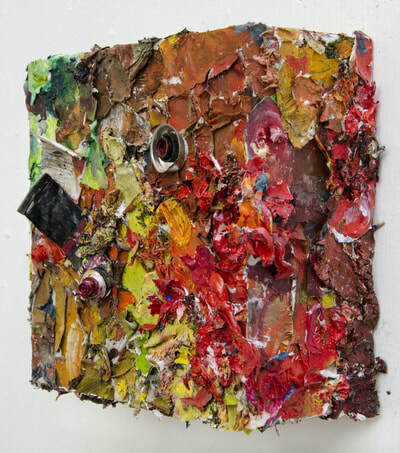 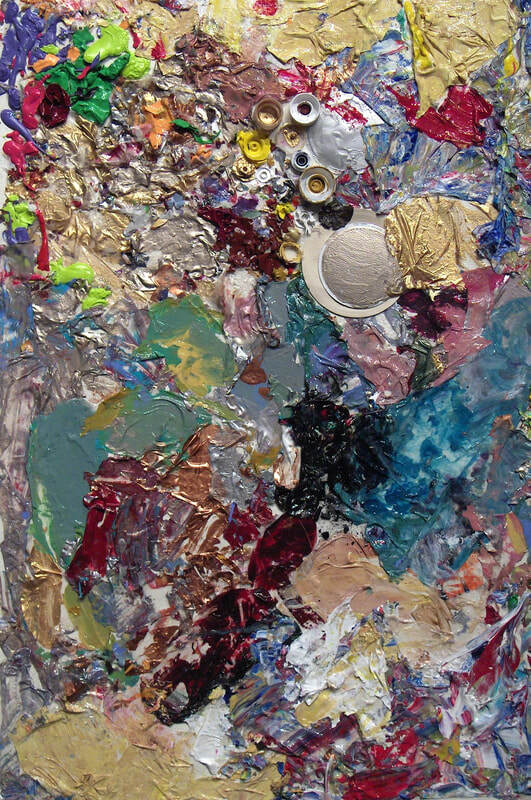 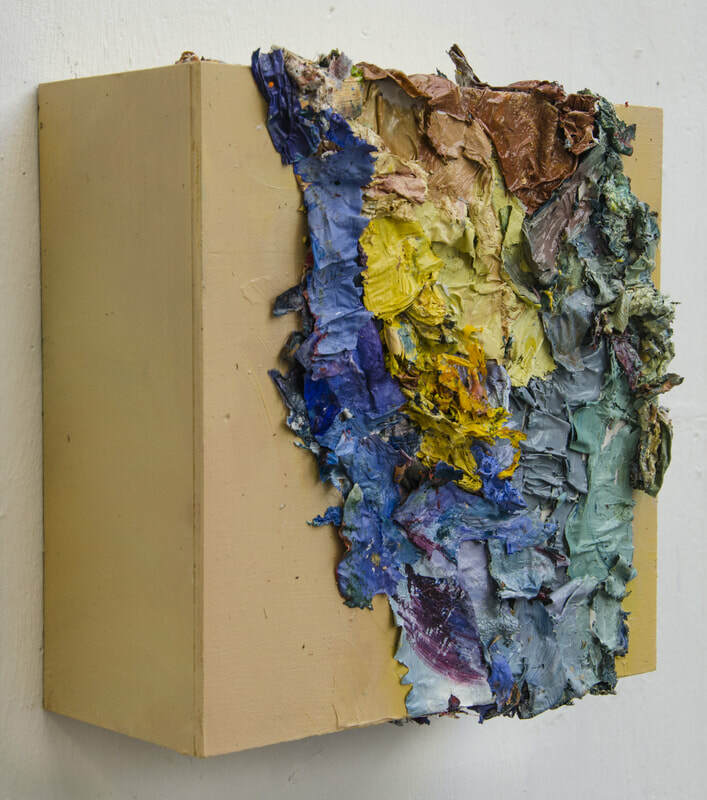 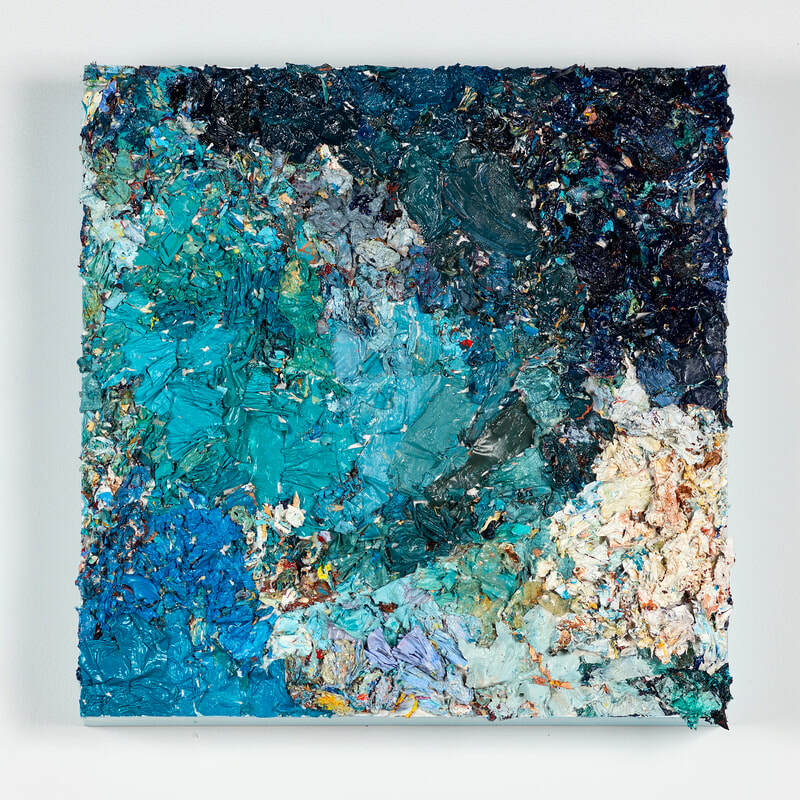 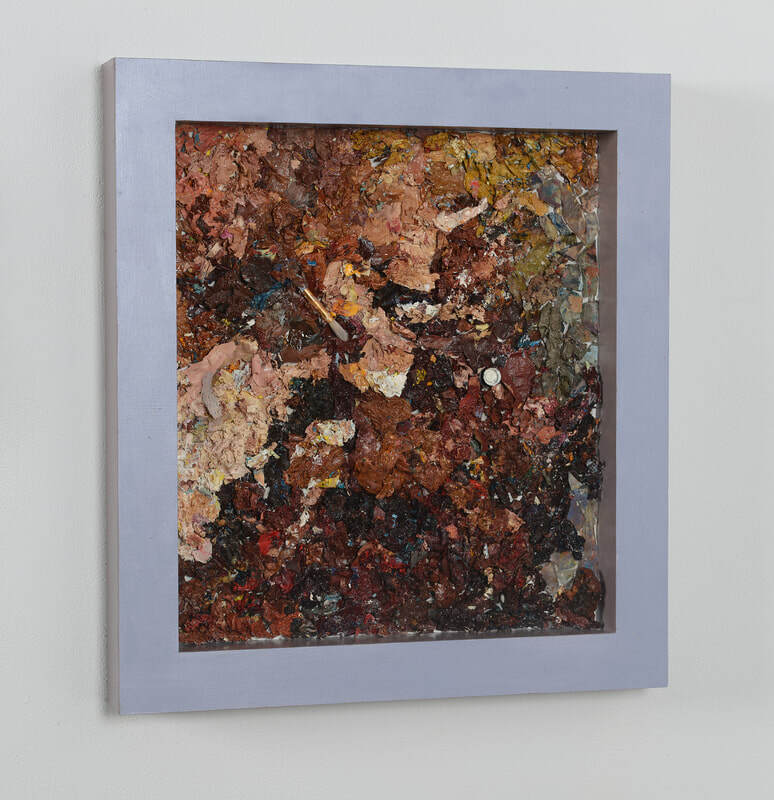 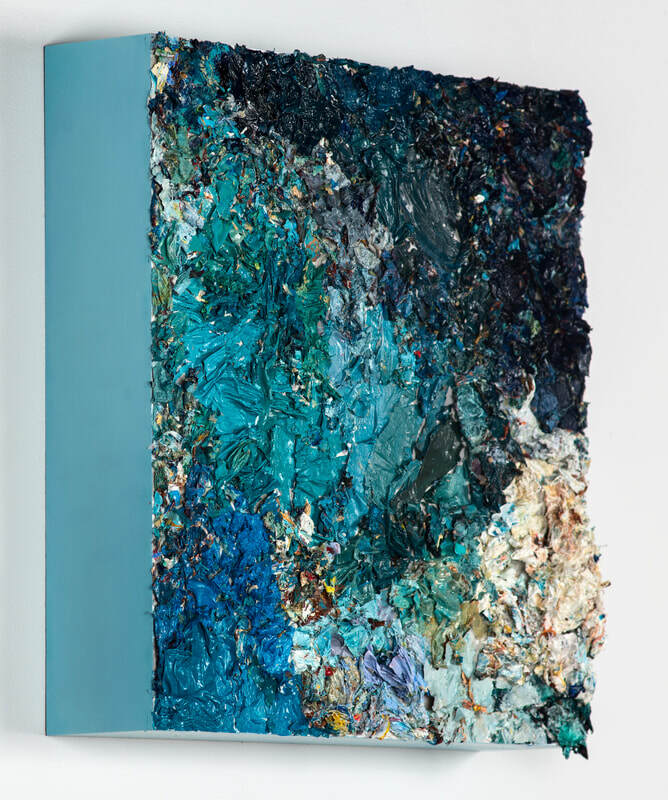 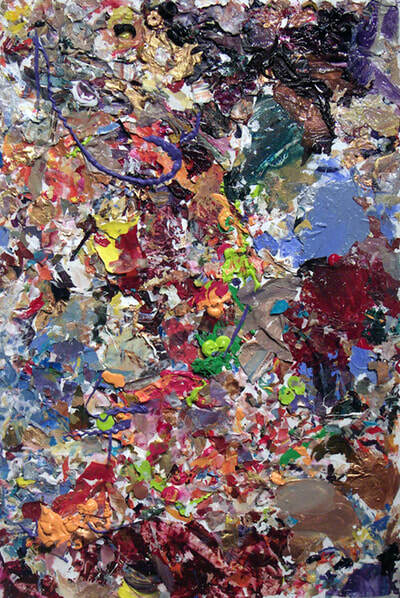 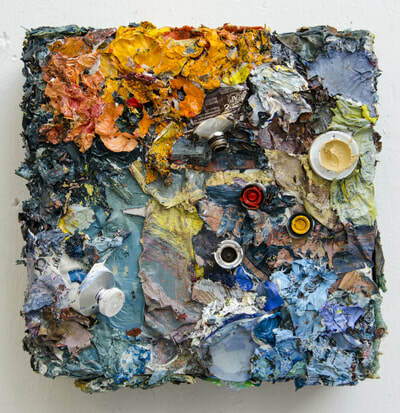 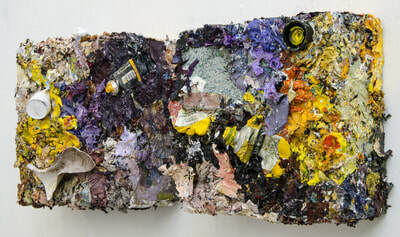 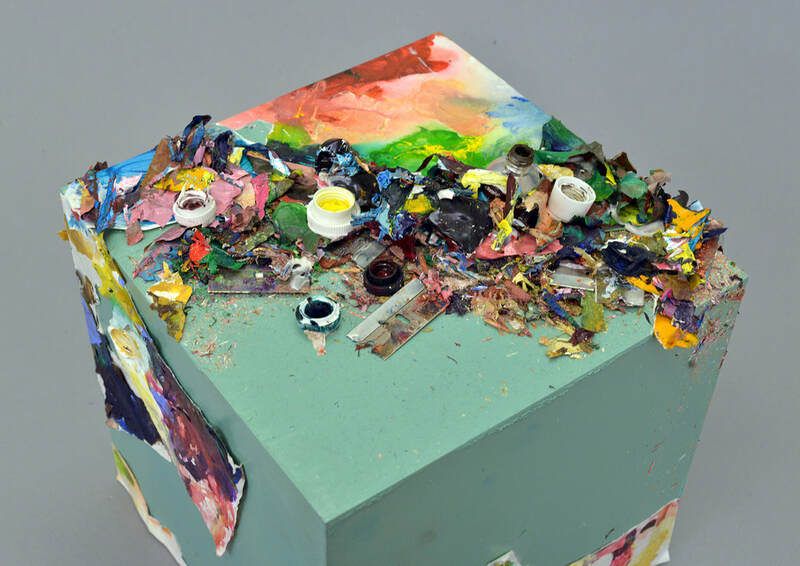 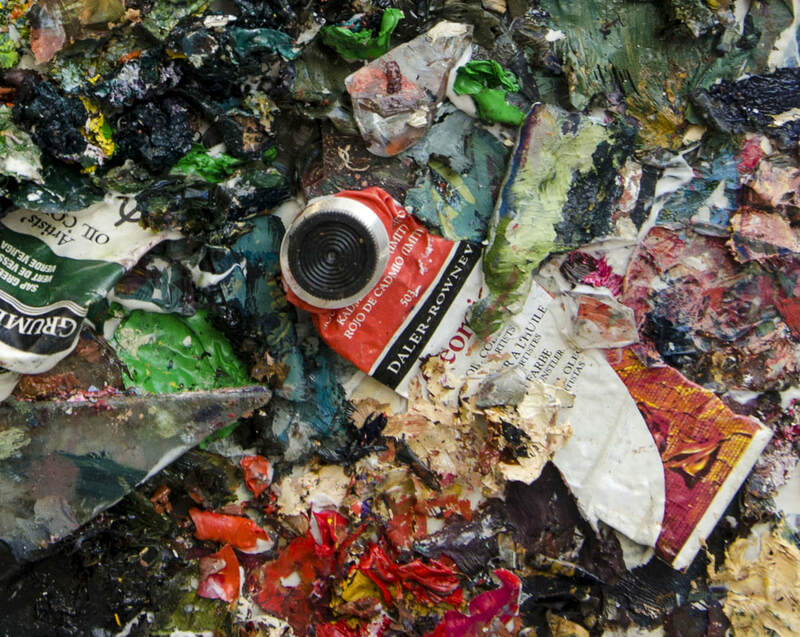 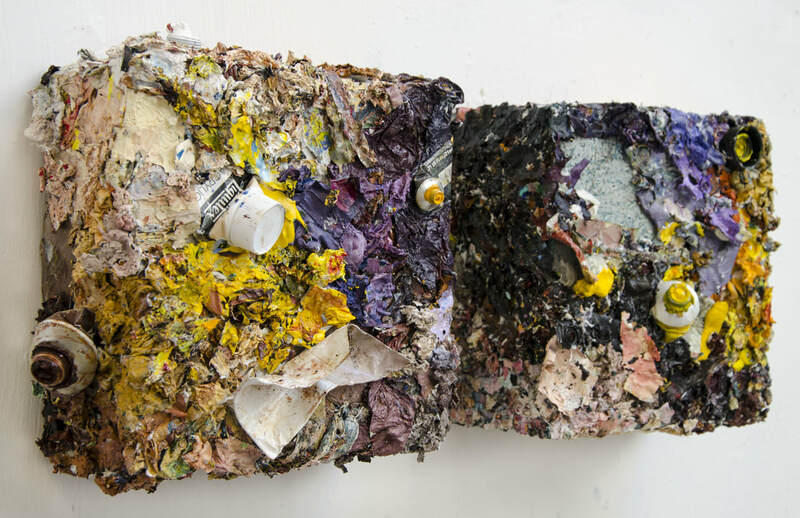 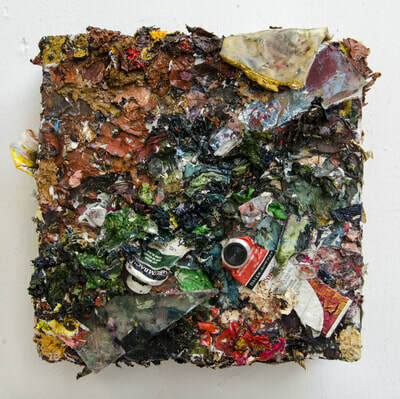 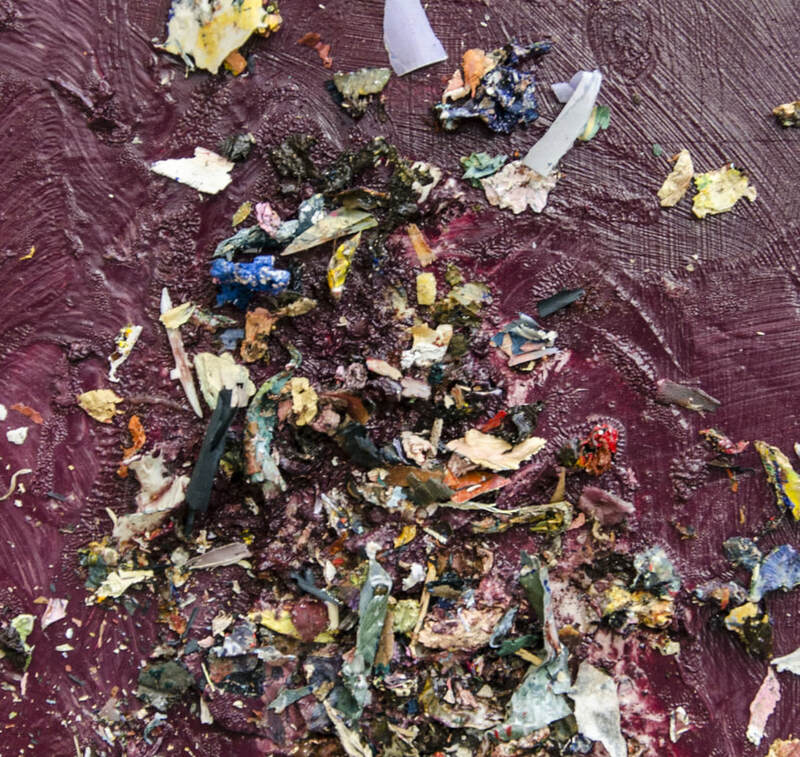 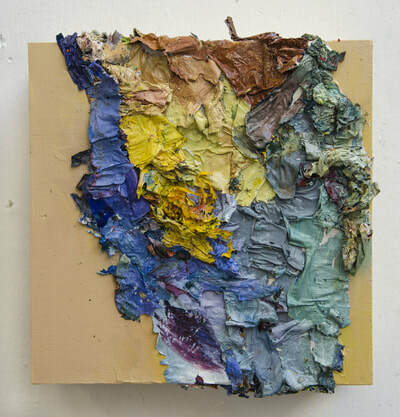 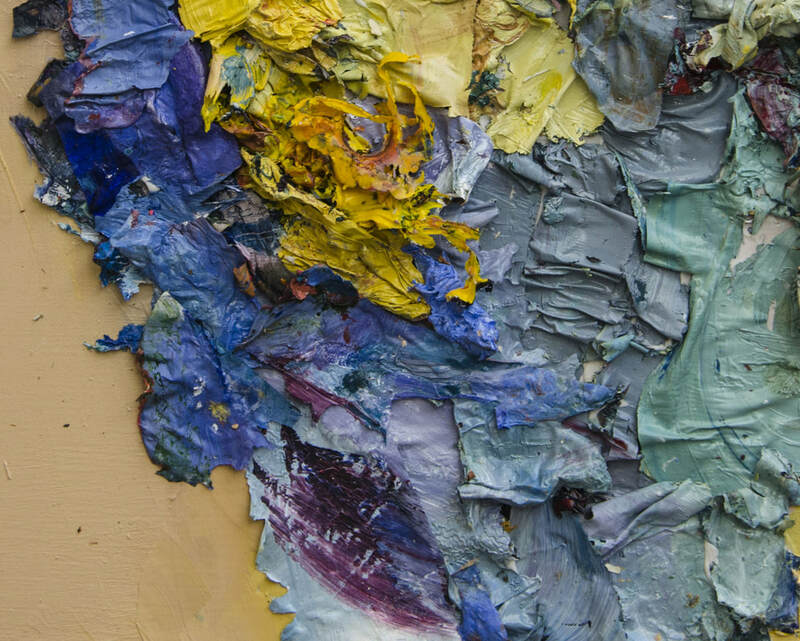 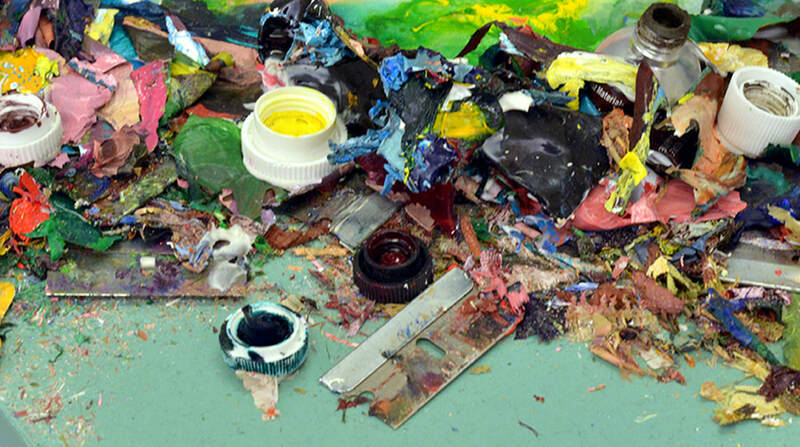 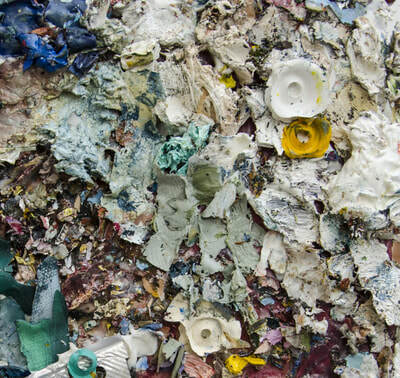 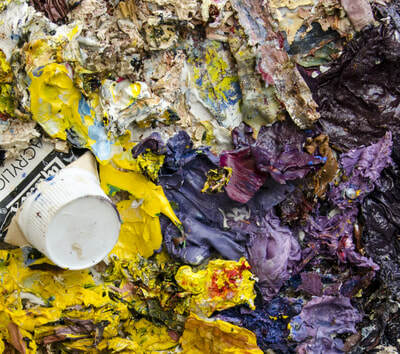 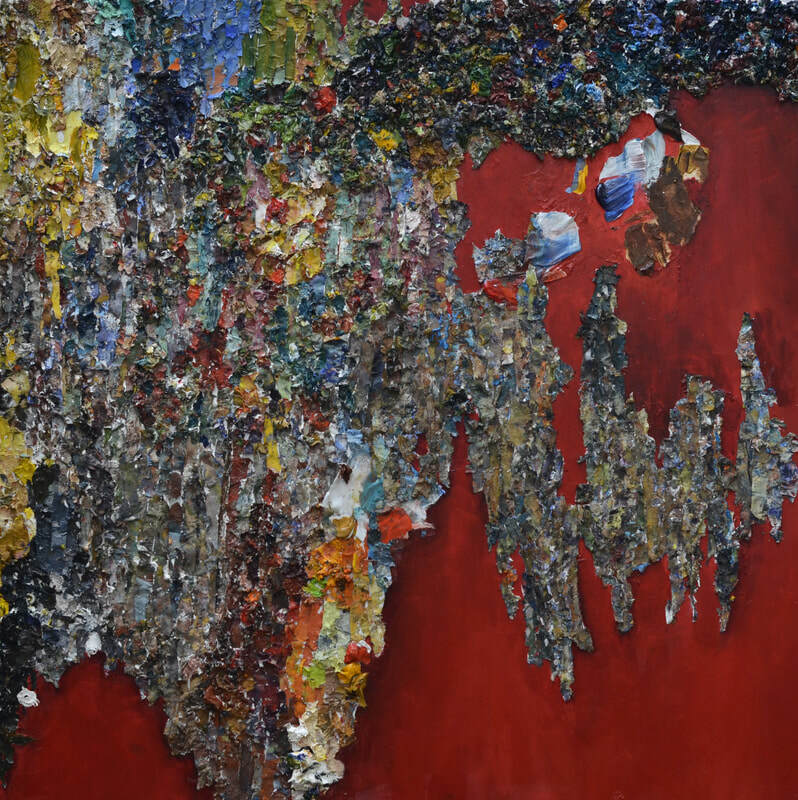 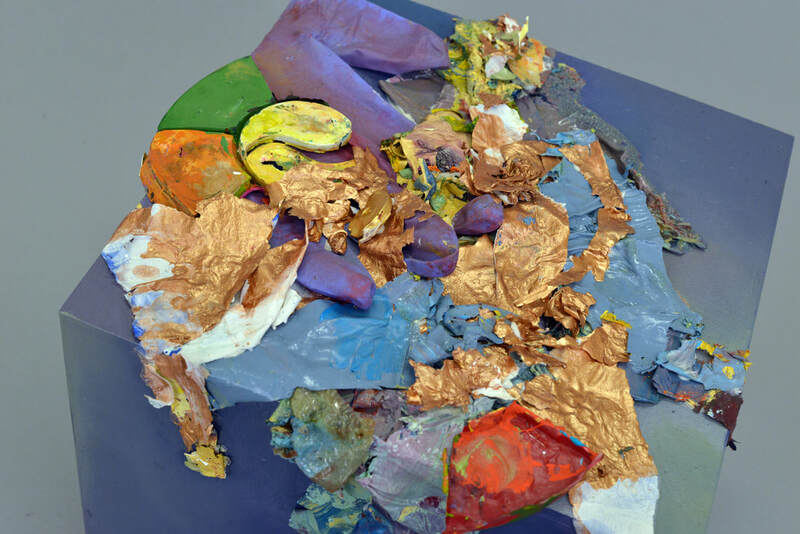 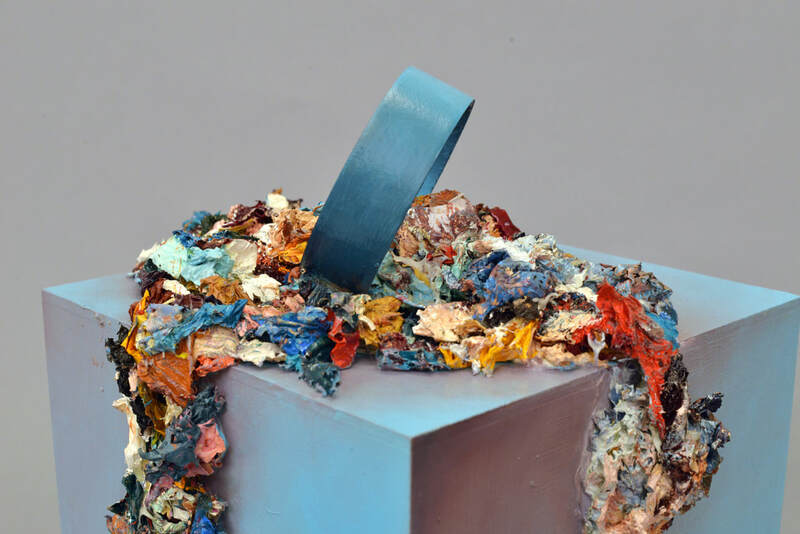 This “artistic waste” includes dried oil paint scraped from painters' palettes—both thick, goopy balls of oil paint as well as thin, film-like acrylic textures. 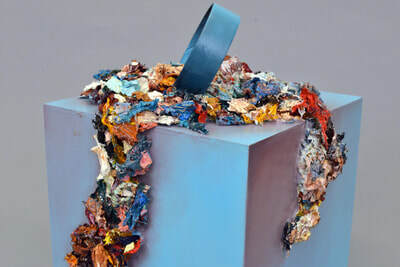 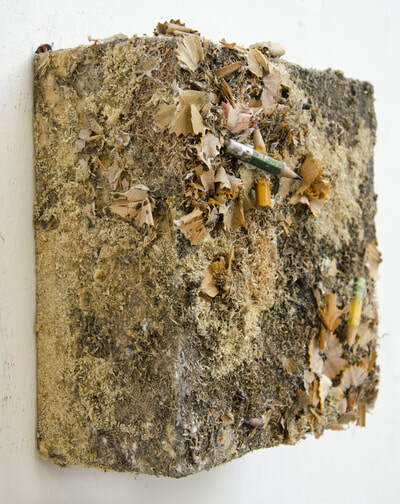 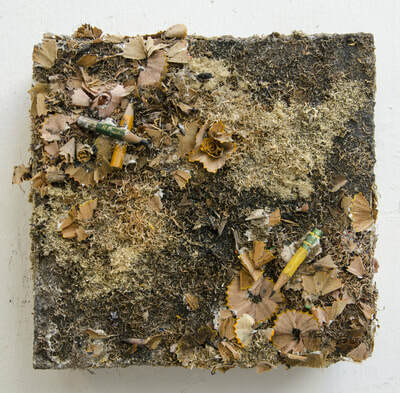 She repurposes graphite and charcoal pencil shavings, used masking tape, and other found objects such as used paint tubes and paper palettes. Unlike more traditional artistic mediums, artistic waste cannot be purchased or manufactured; it must be generated from past creation. 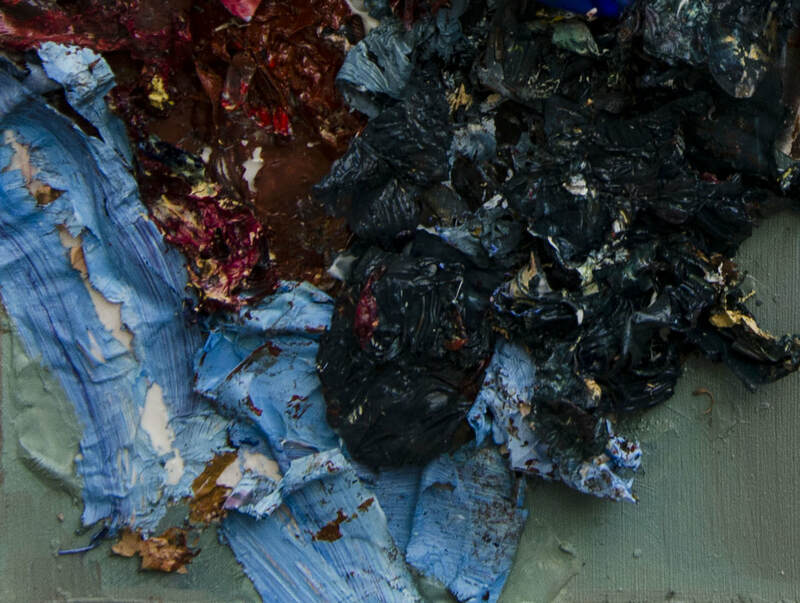 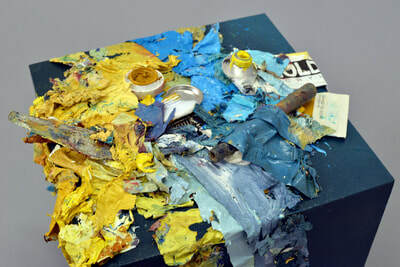 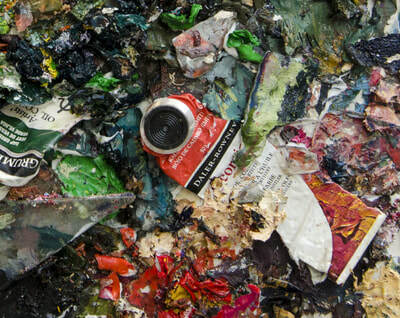 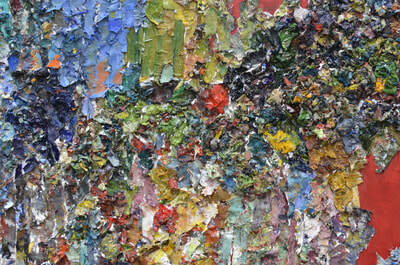 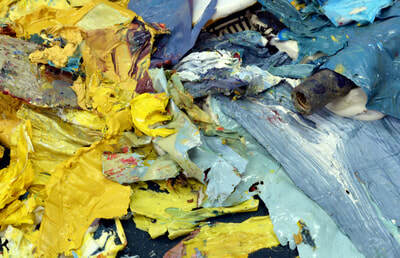 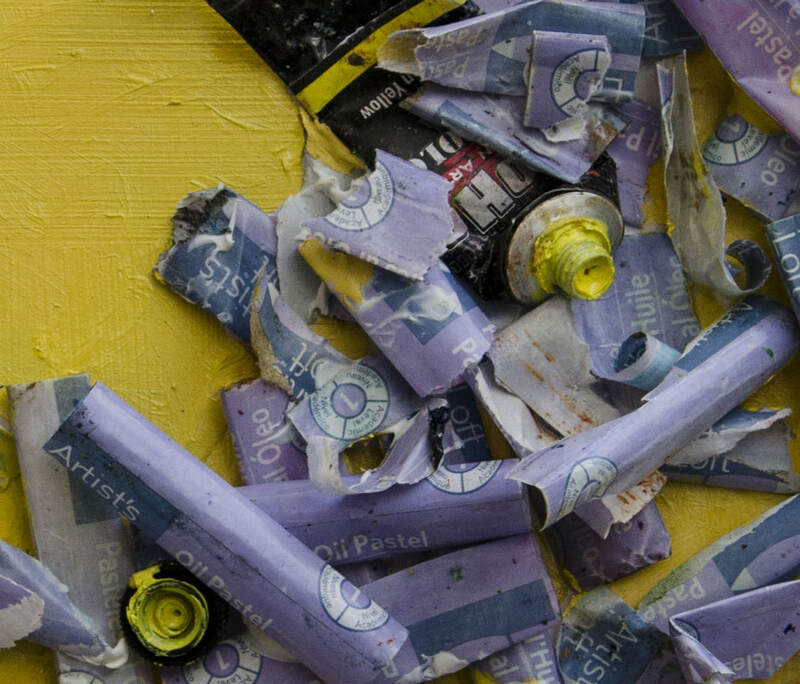 These materials serve as artifacts of the creative process, telling the visual story of artistic pursuit.